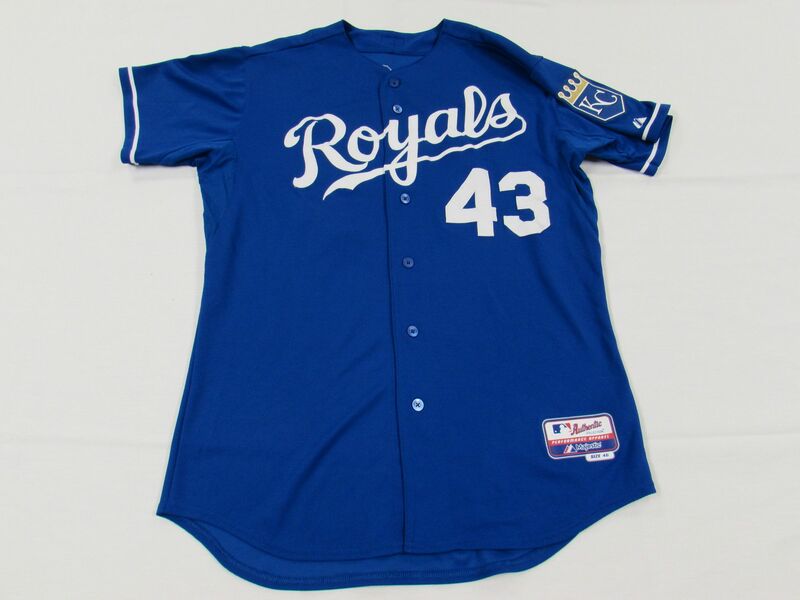 Black road alternate jersey goes away, blue is worn both home and road. 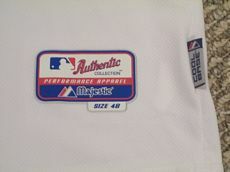 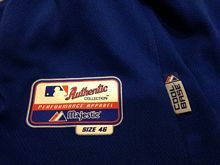 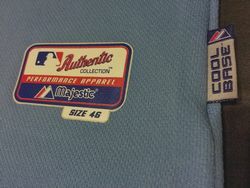 Cool Base jerseys debut at home (2007) and road (2008). 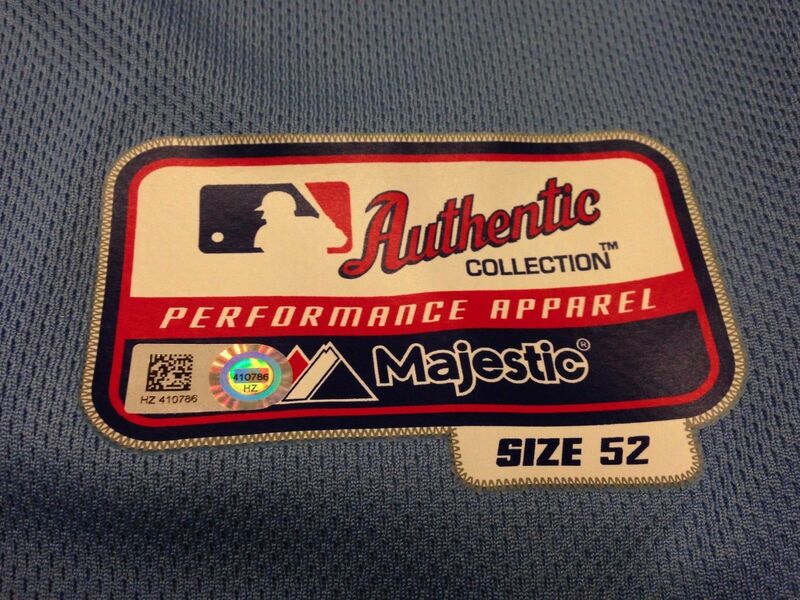 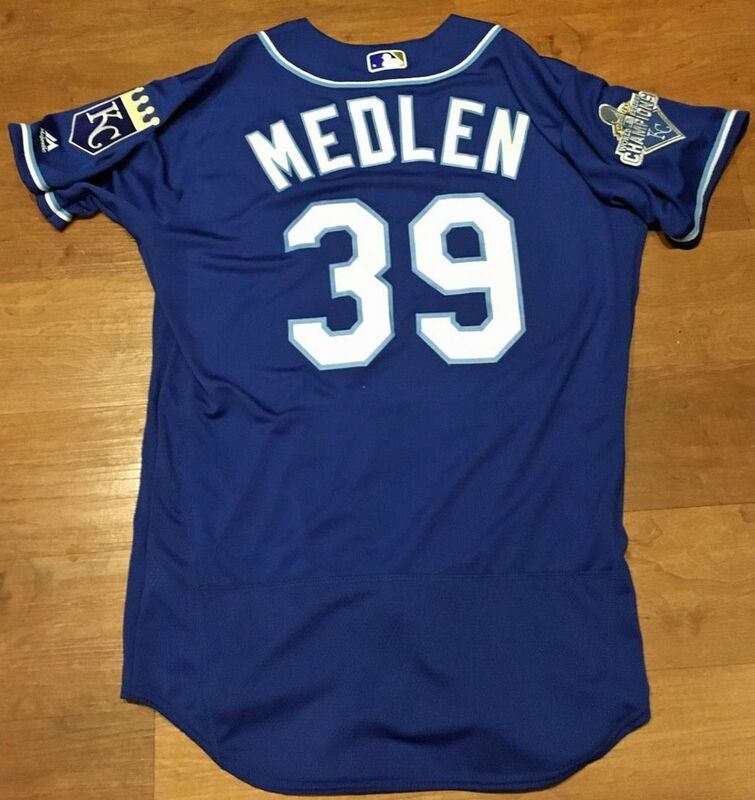 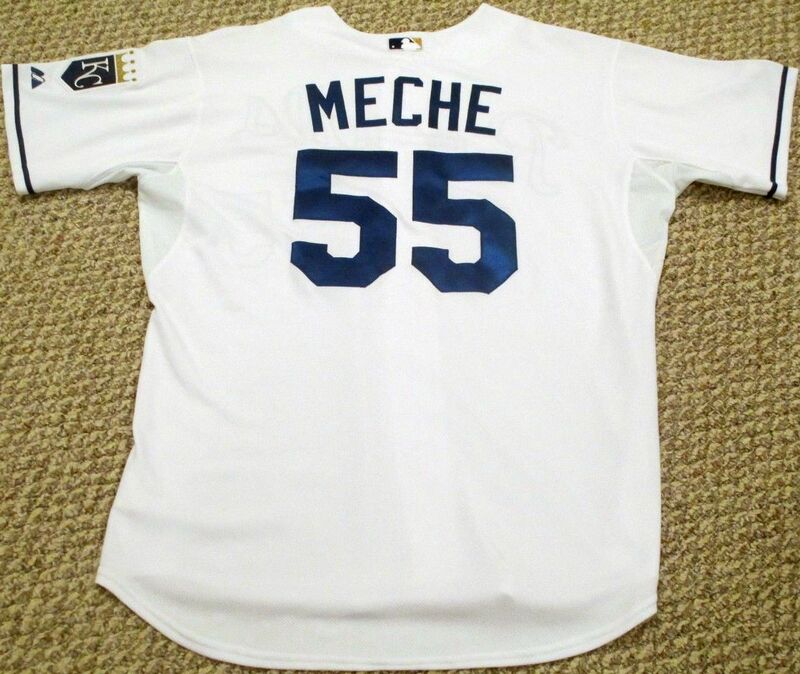 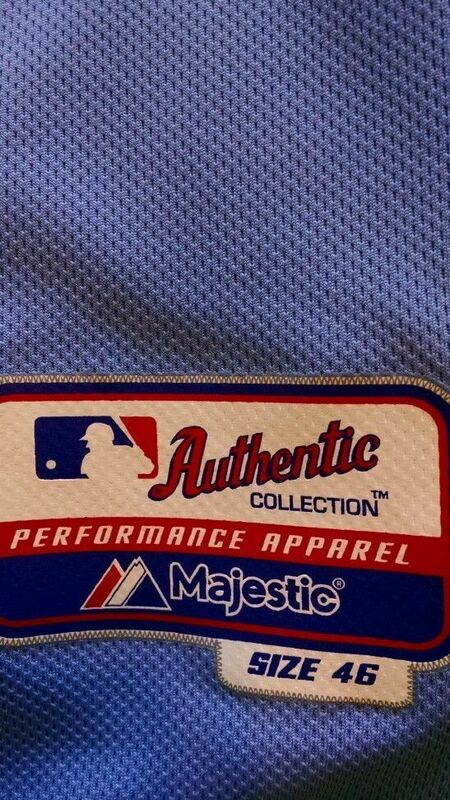 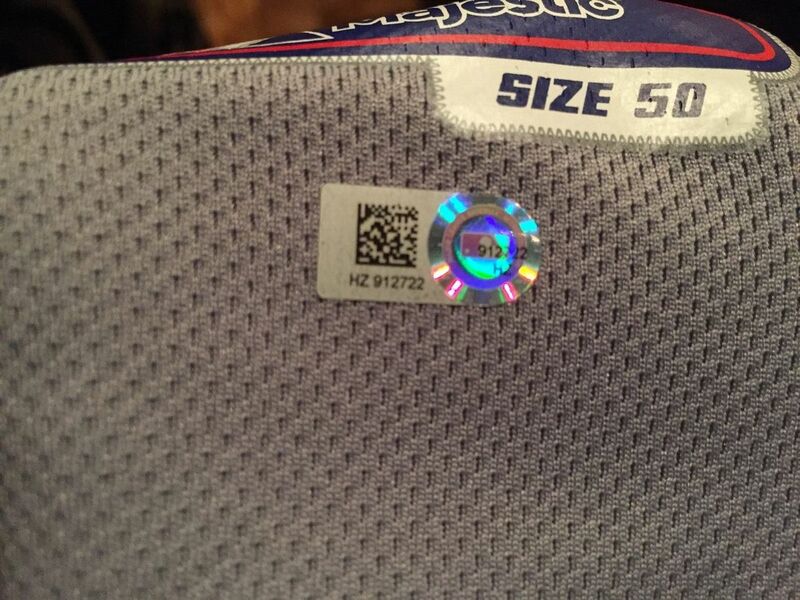 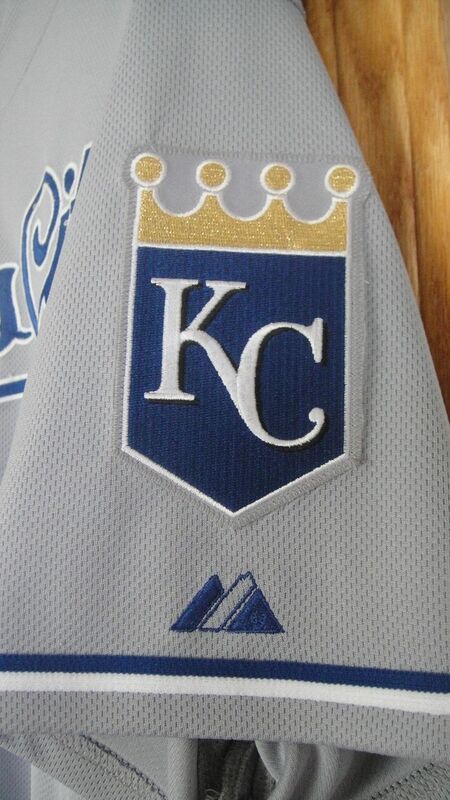 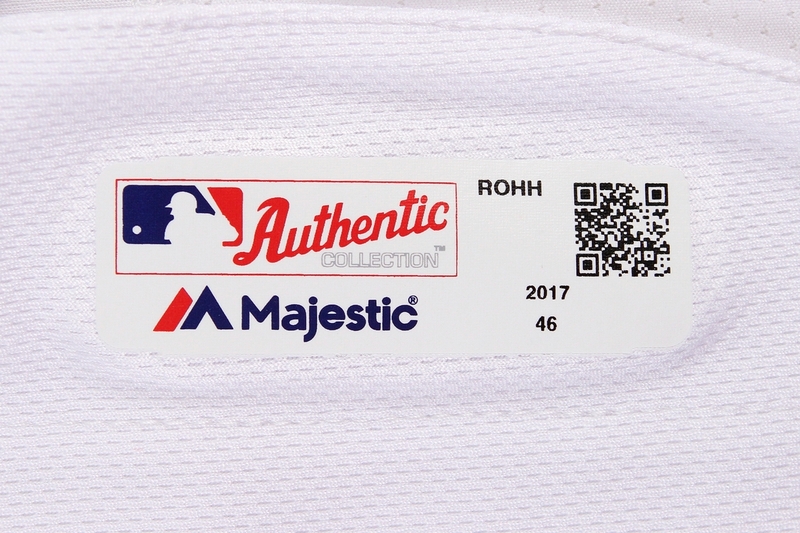 White trim dropped from road and blue alternate jersey sleeve patch. 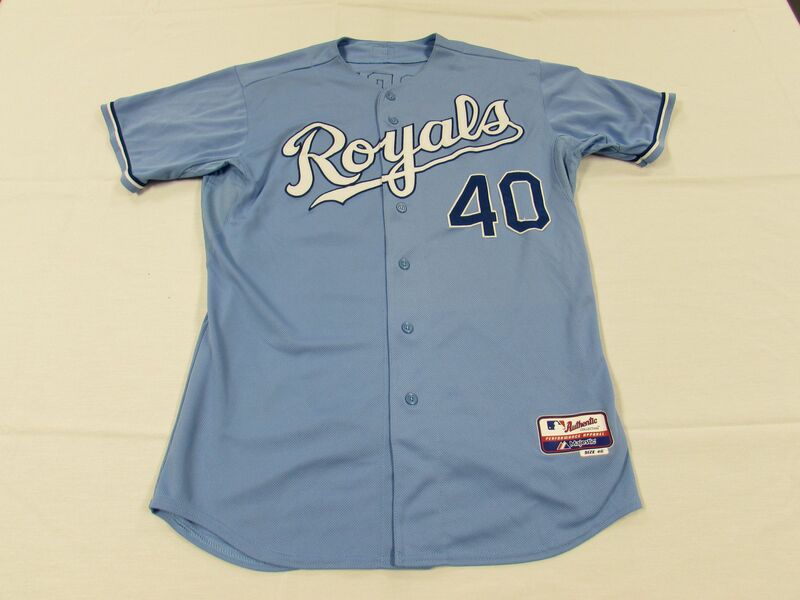 Light blue alternate introduced as the home alternate, dark blue is now worn just on the road. 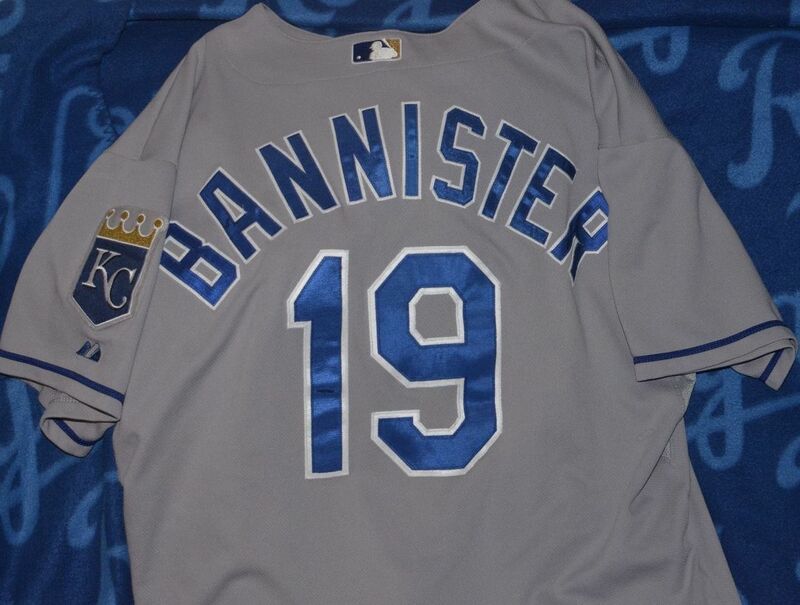 Nameplates dropped. 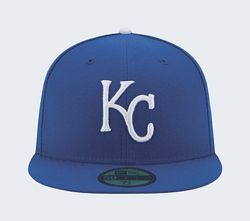 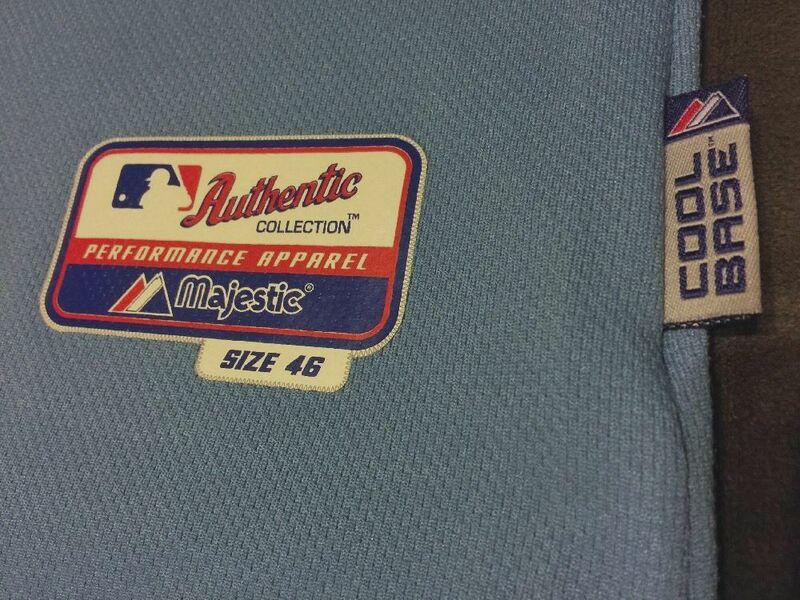 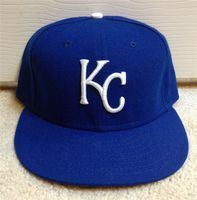 New powder blue-crowned cap introduced in 2010 for use with the light blue home alternate. 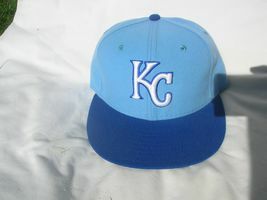 Powder blue crown cap is dropped. 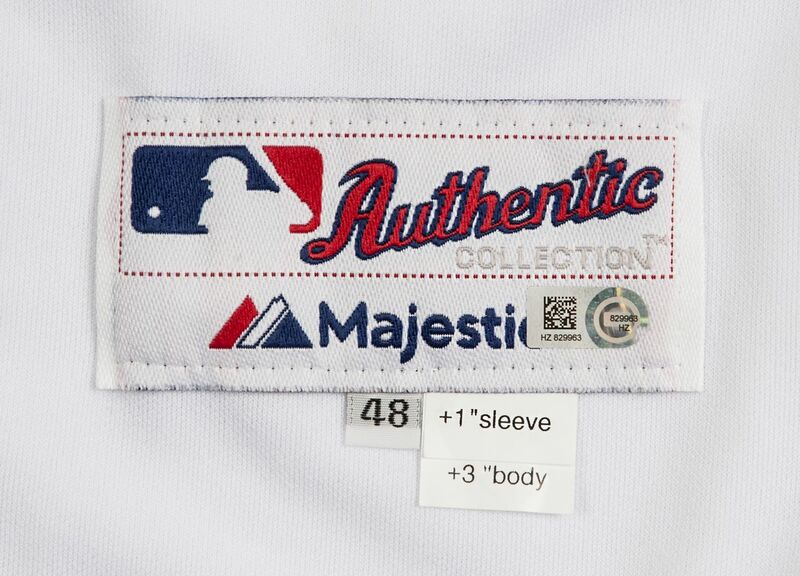 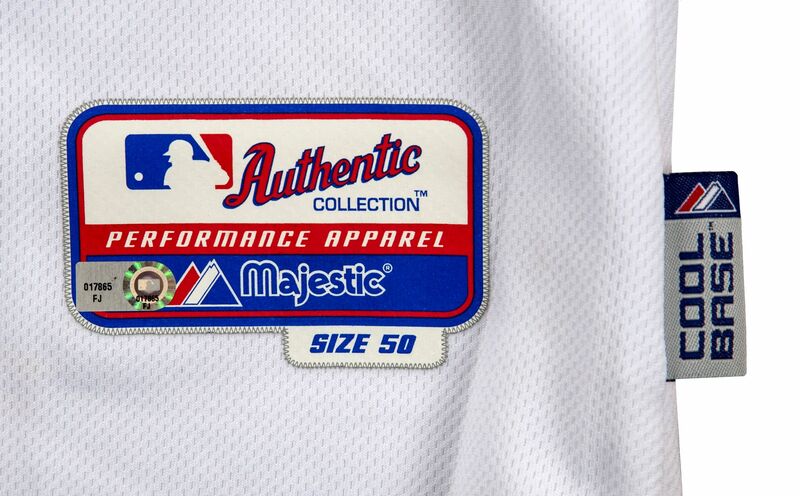 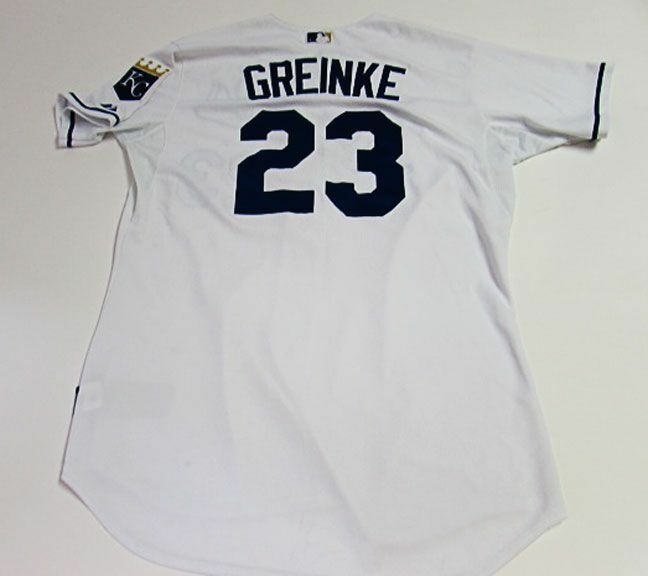 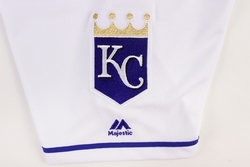 White sleeve trim added to road jersey and the script revised (the dot over the "i" returns). 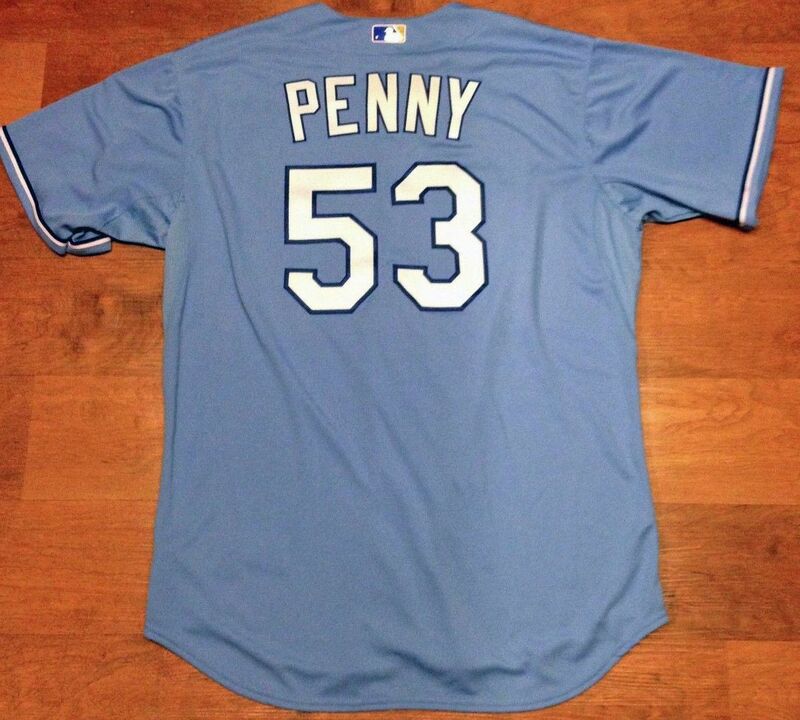 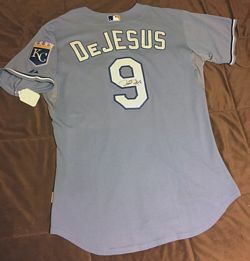 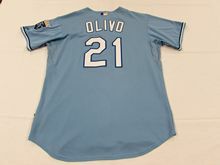 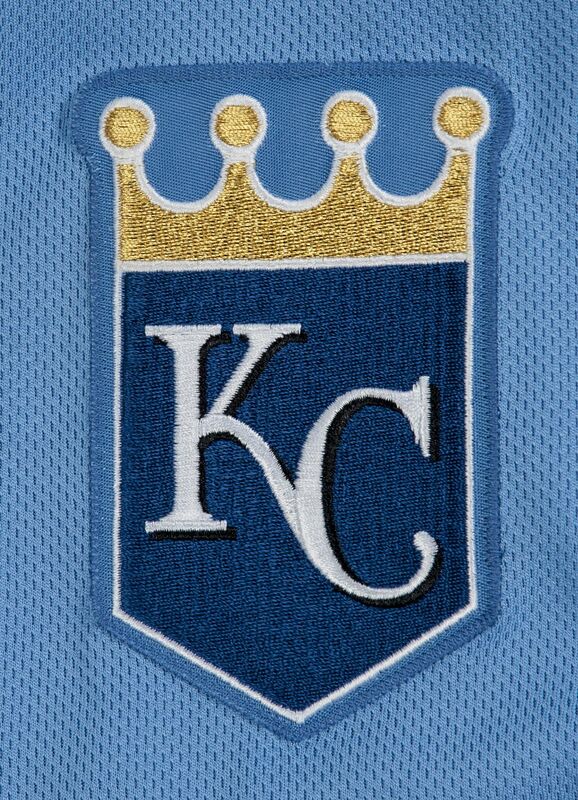 Front lettering colors reversed on light blue alternate. 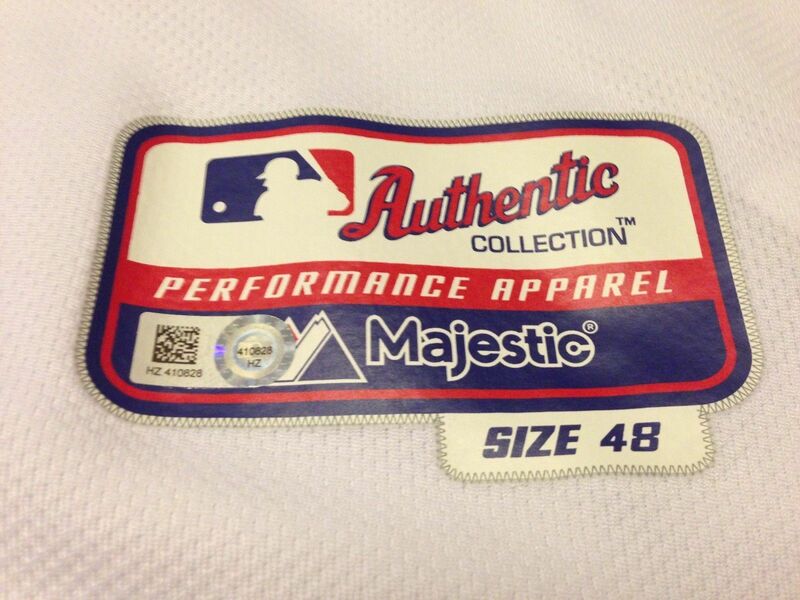 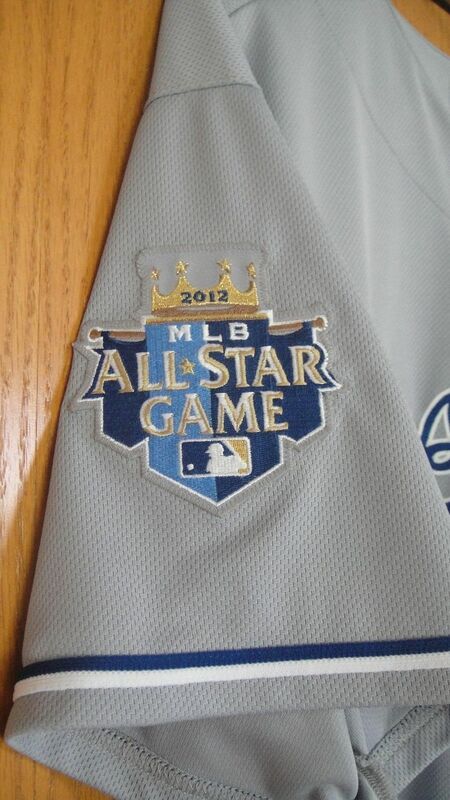 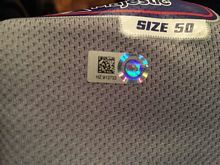 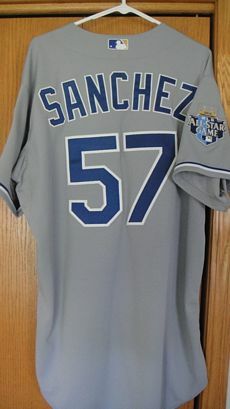 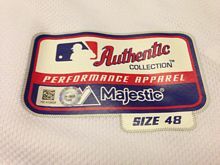 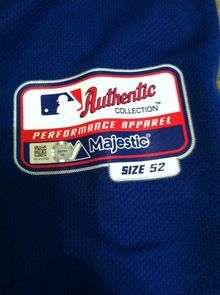 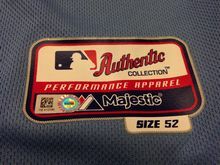 All Star game patch worn in 2012. 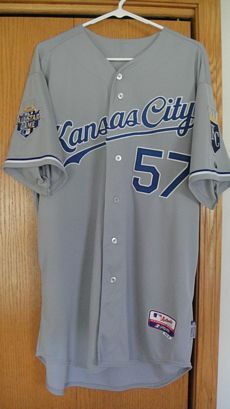 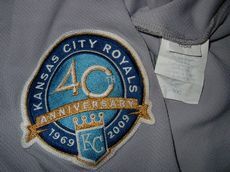 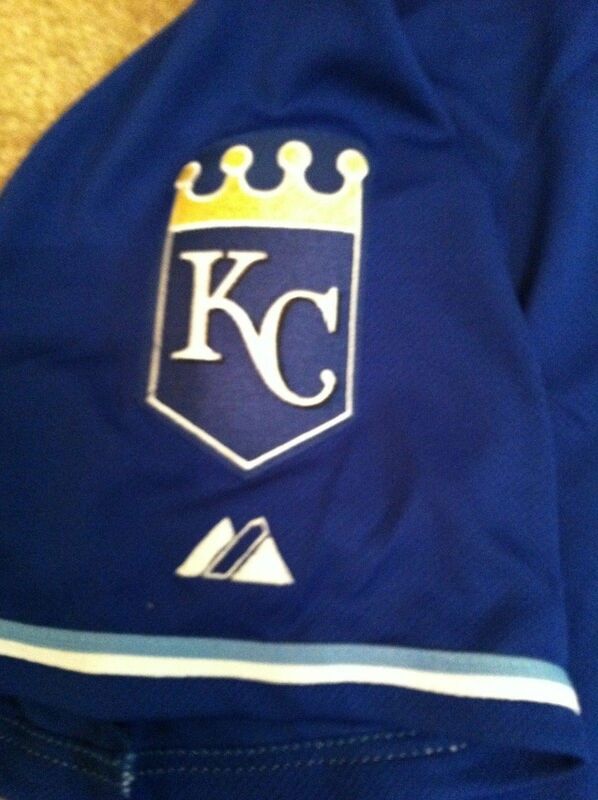 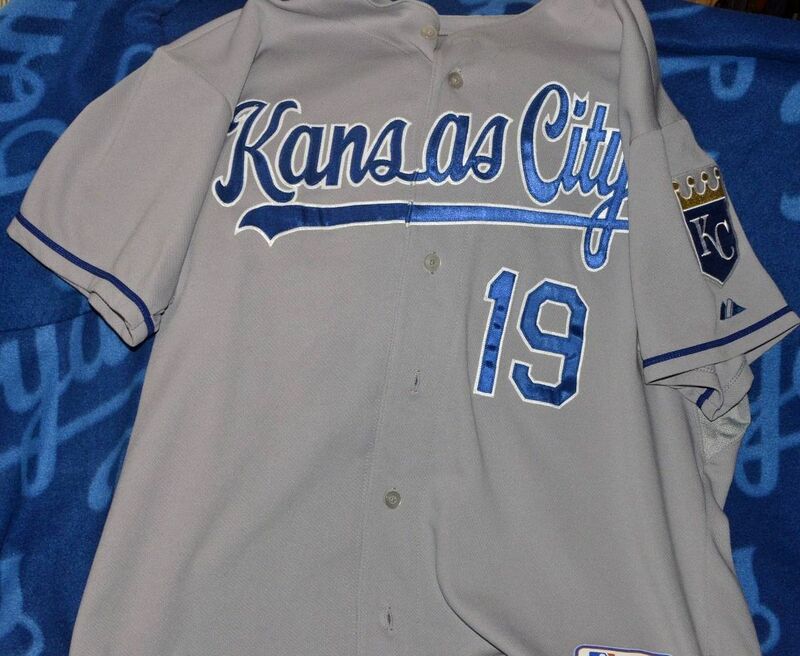 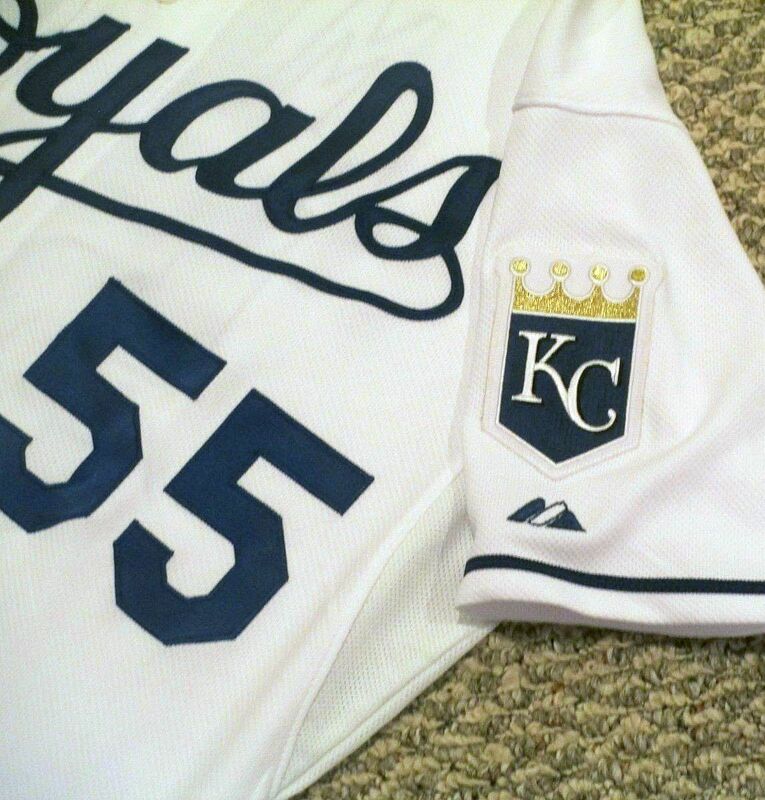 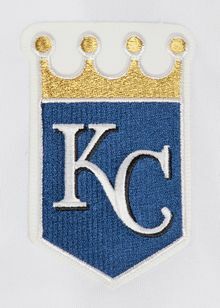 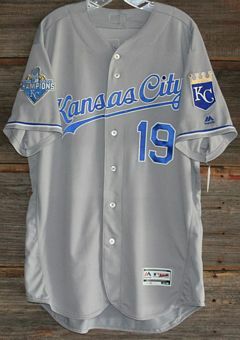 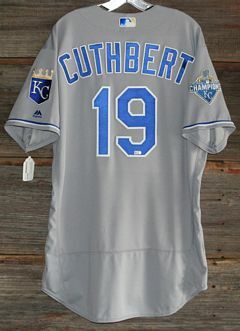 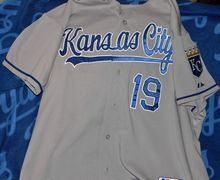 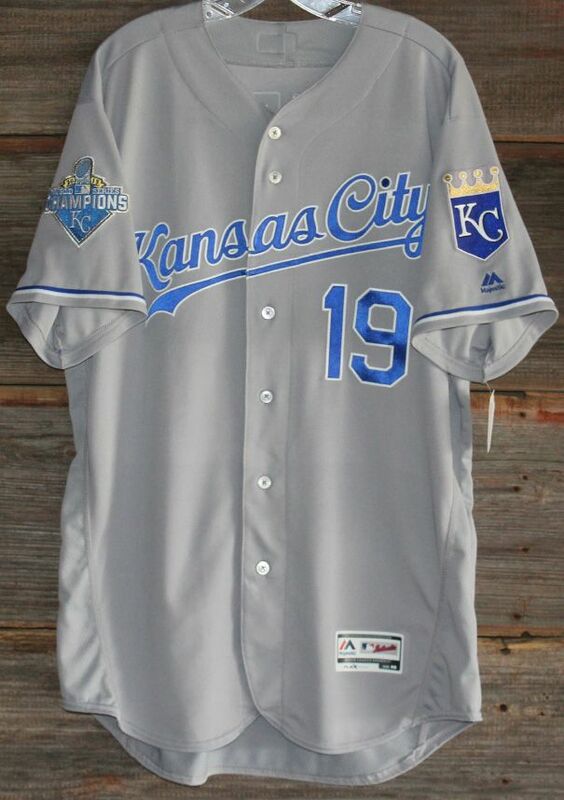 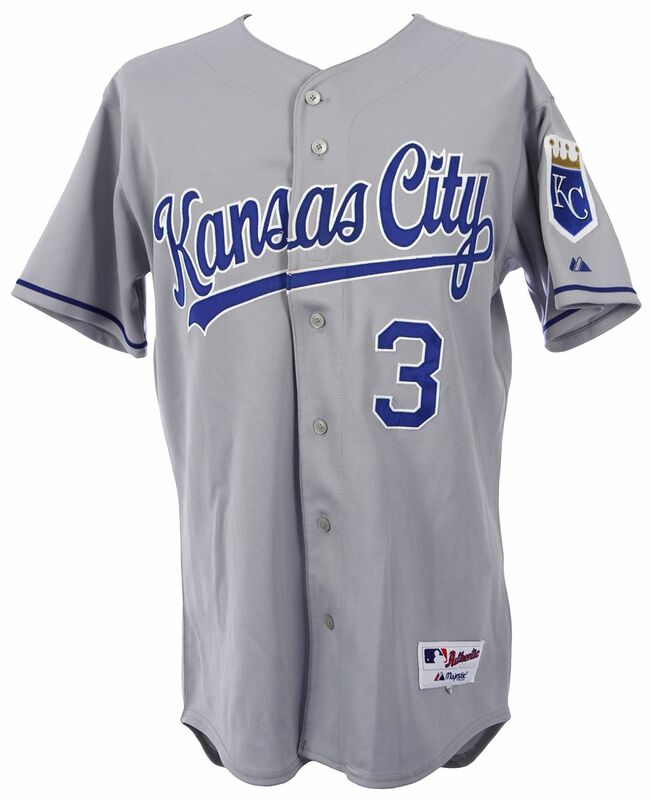 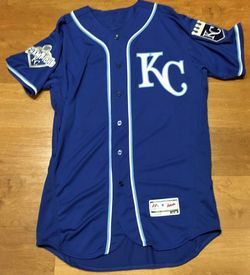 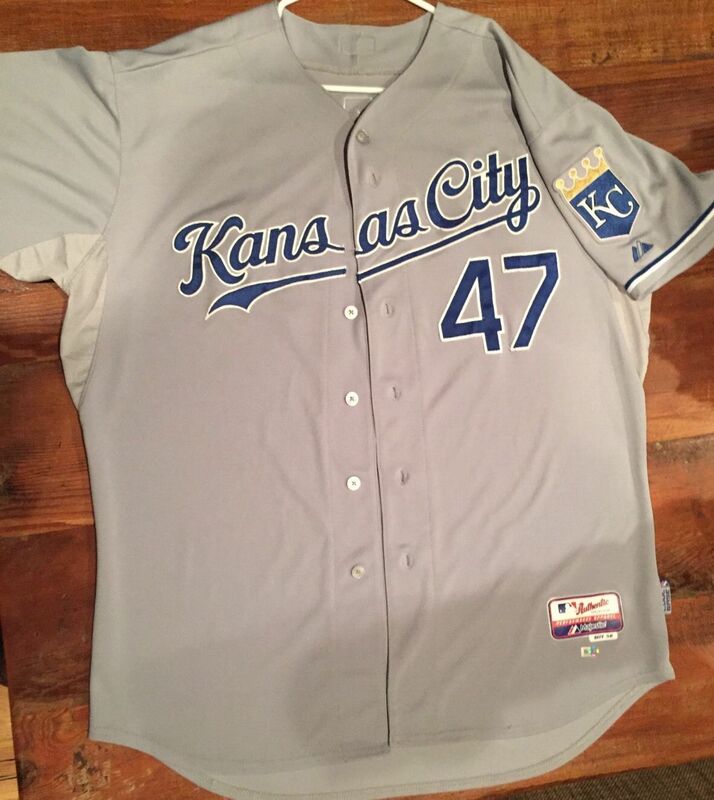 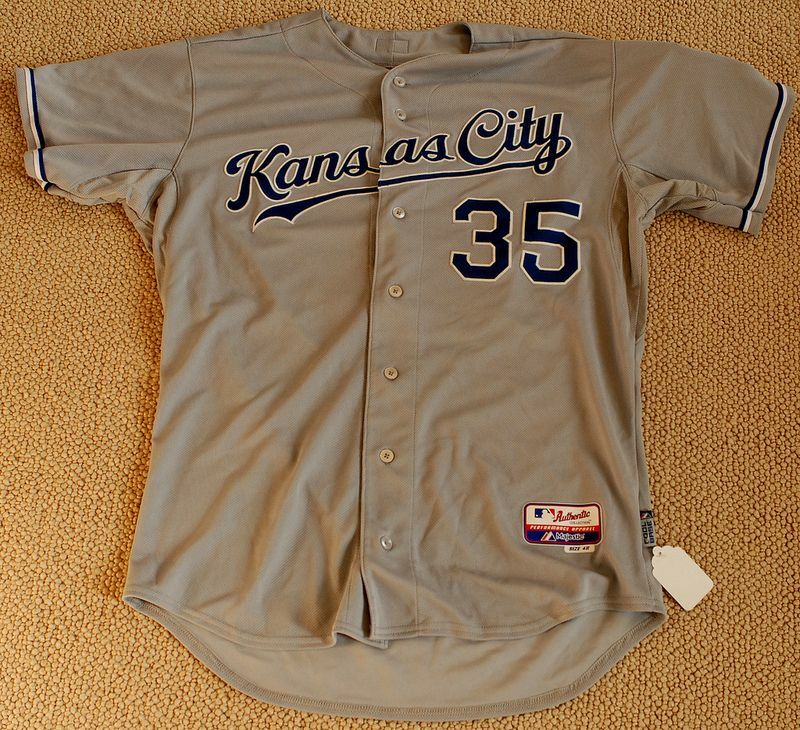 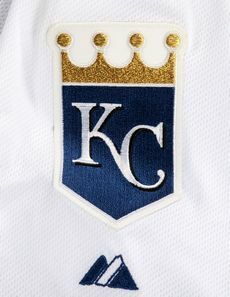 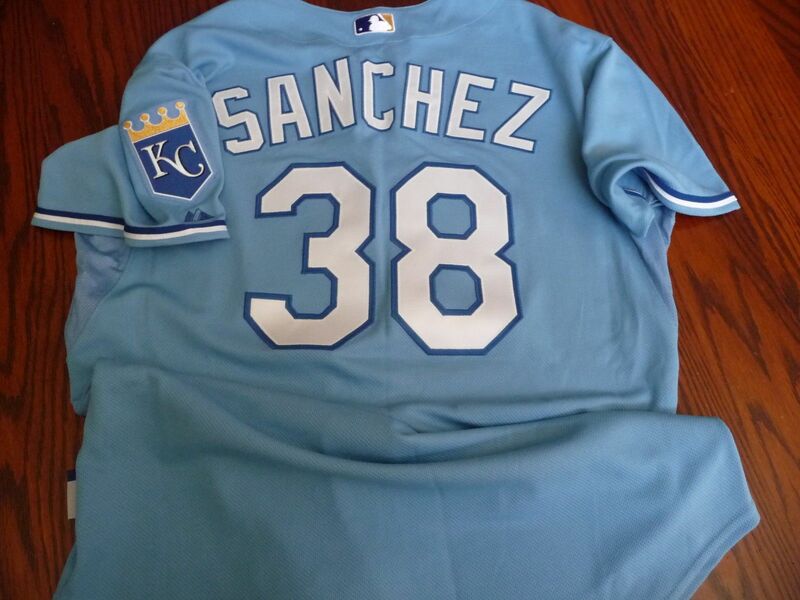 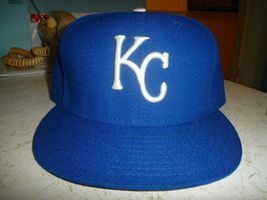 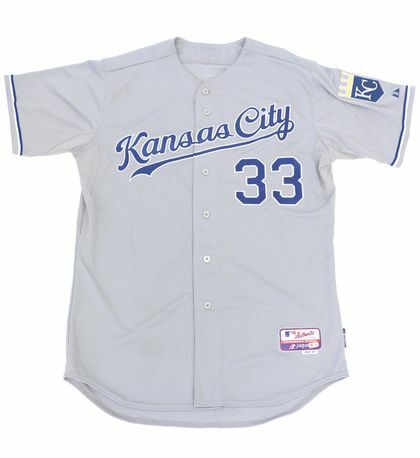 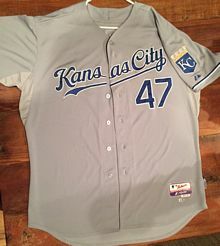 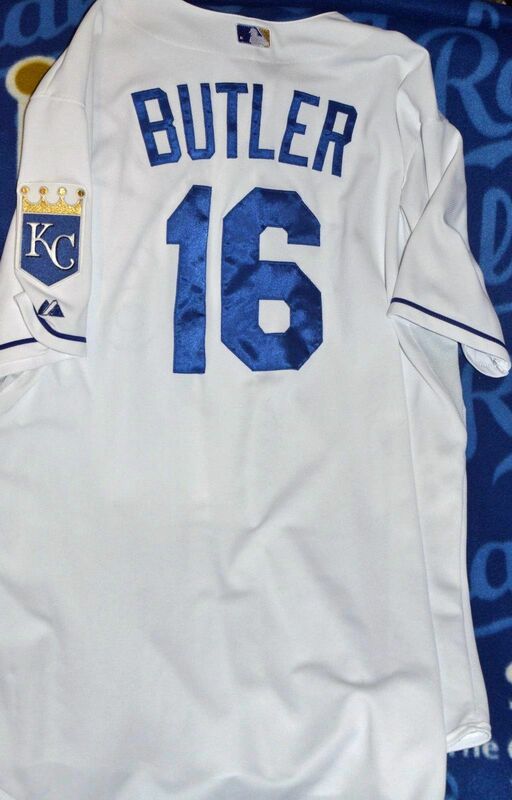 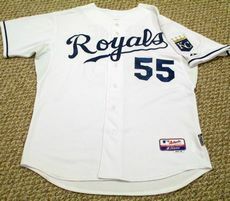 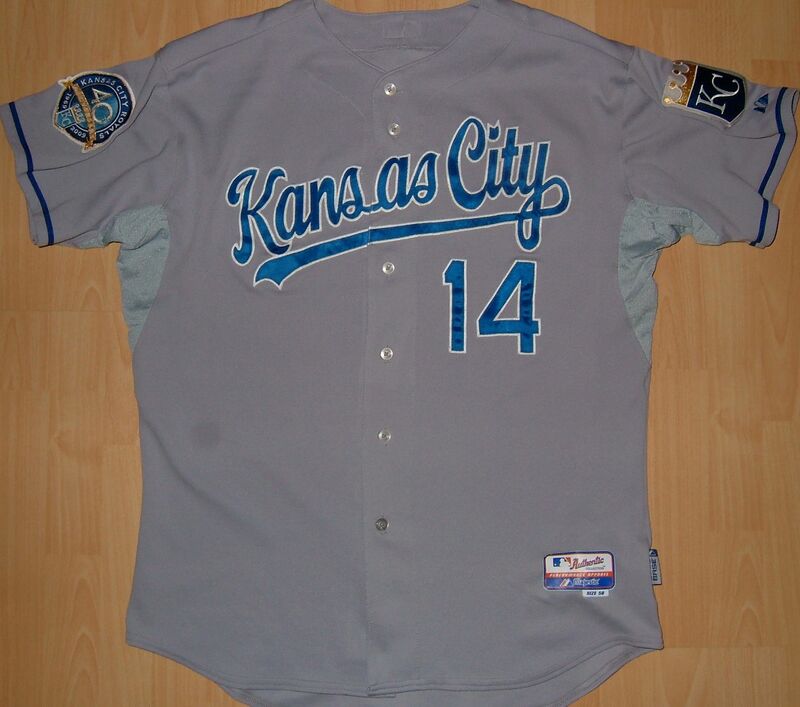 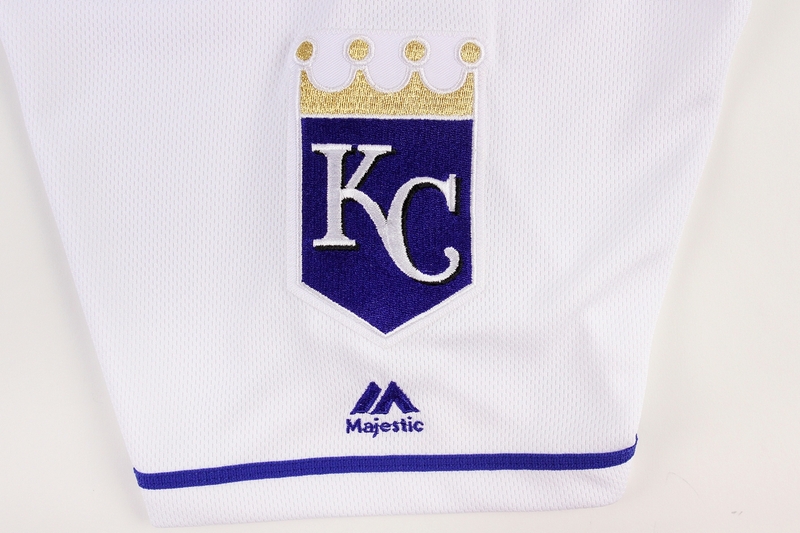 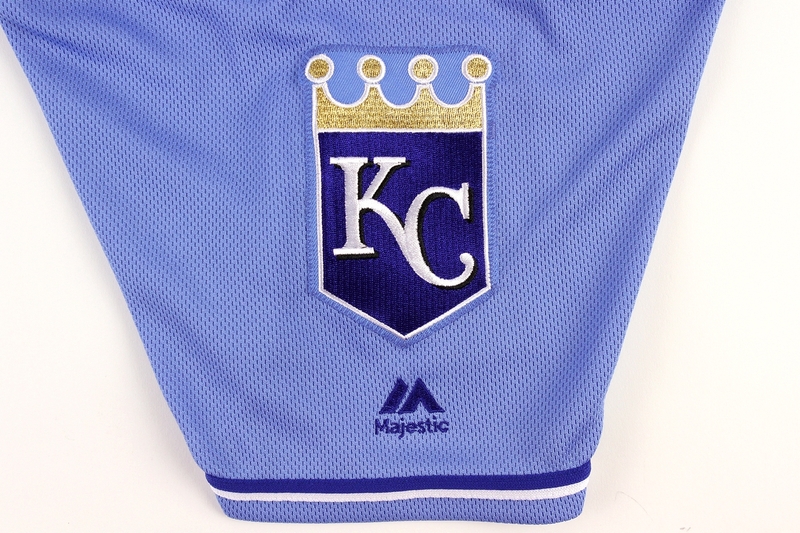 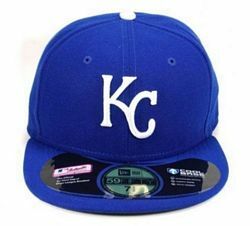 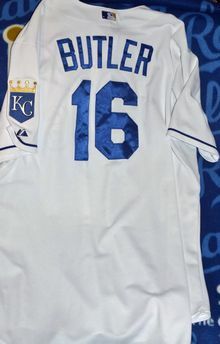 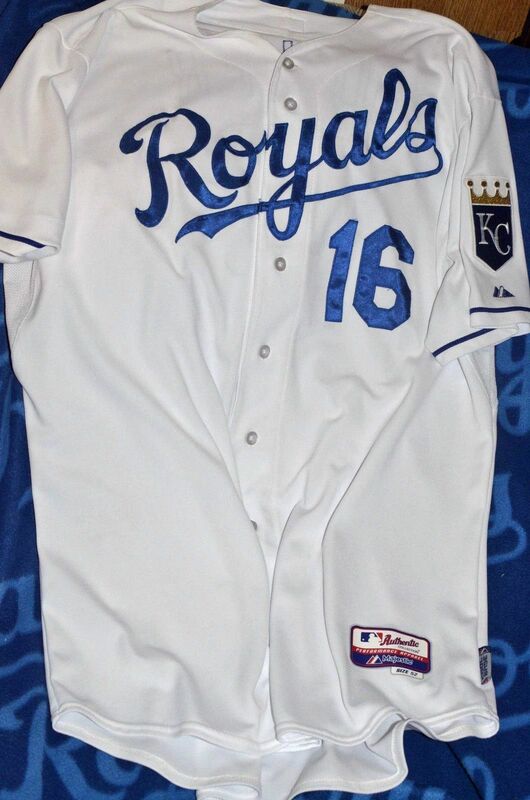 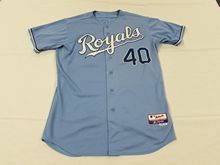 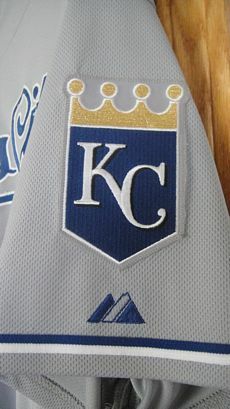 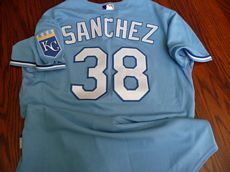 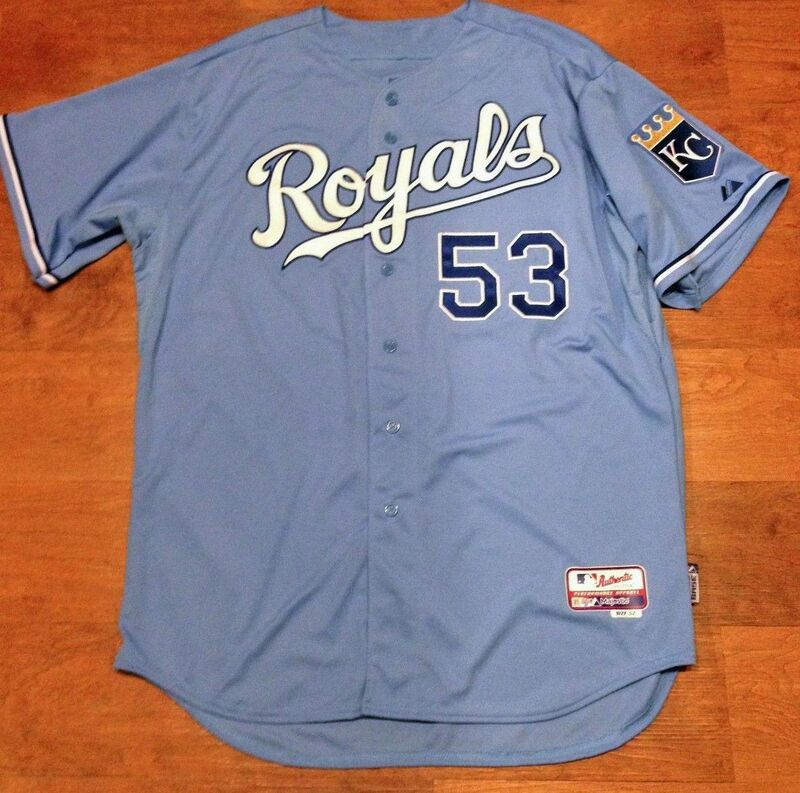 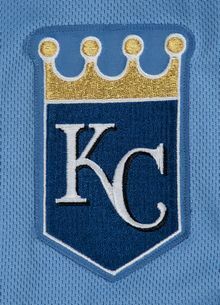 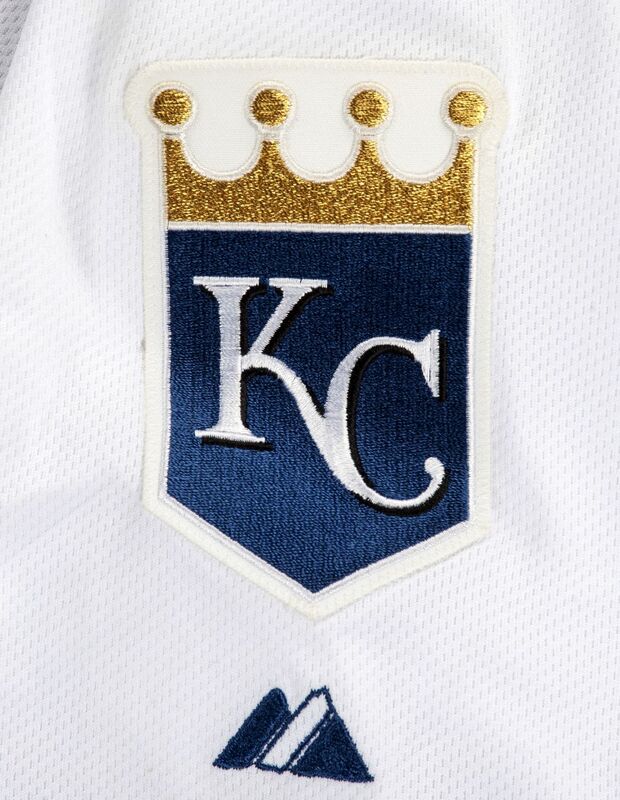 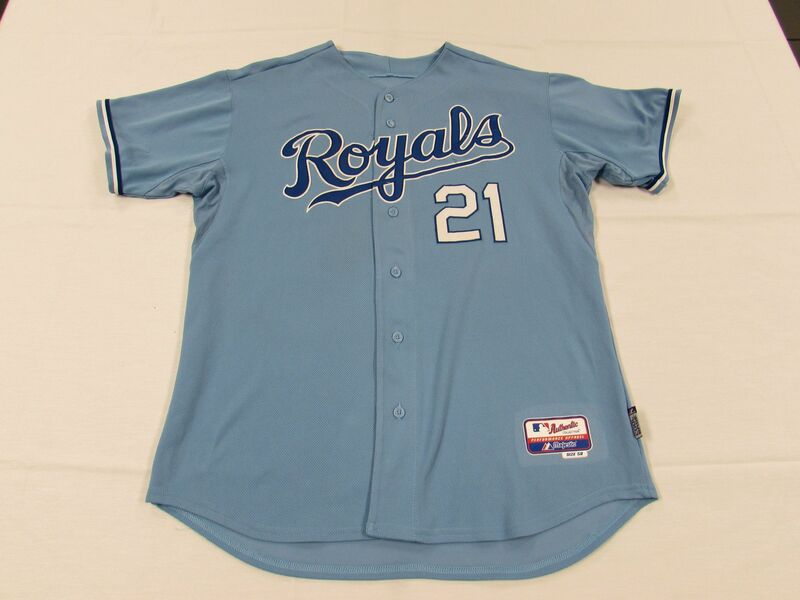 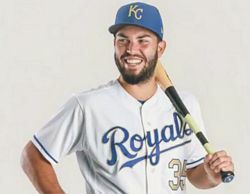 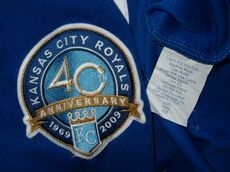 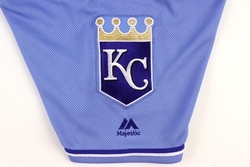 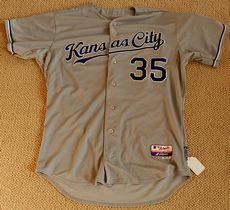 Dark blue road alternate logo changed to "KC" with white/powder blue piping. 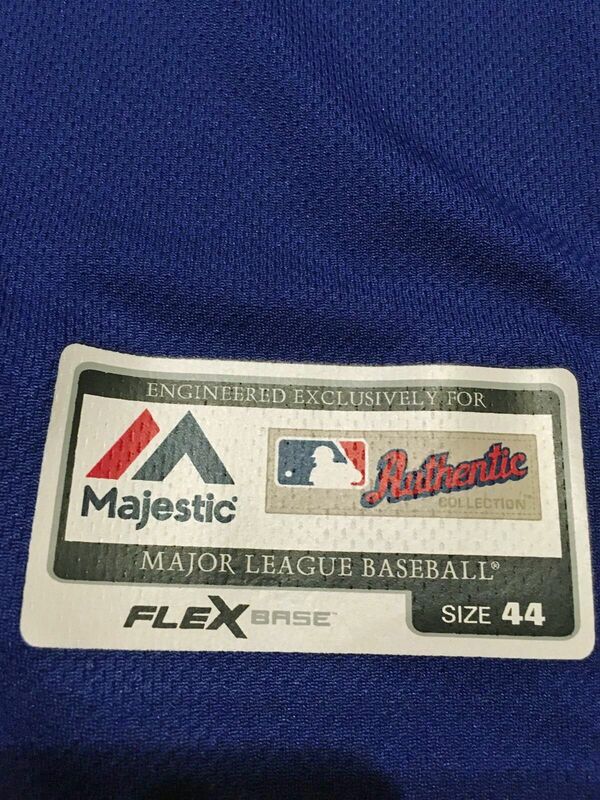 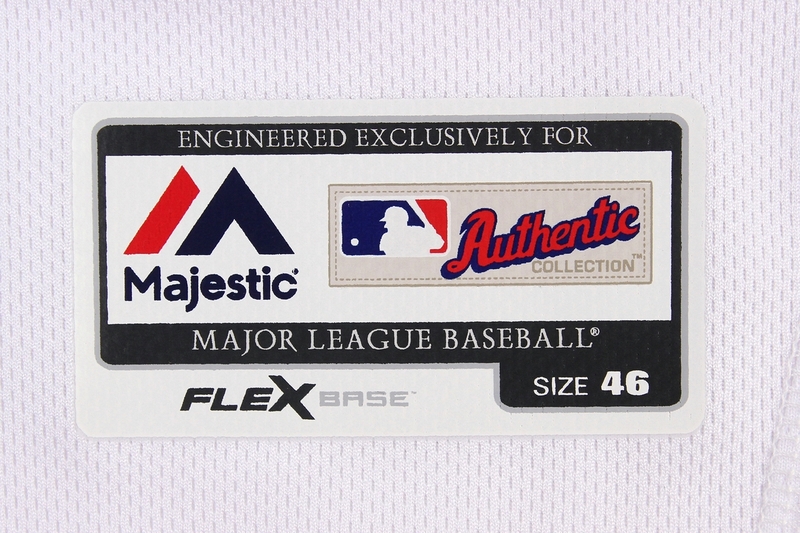 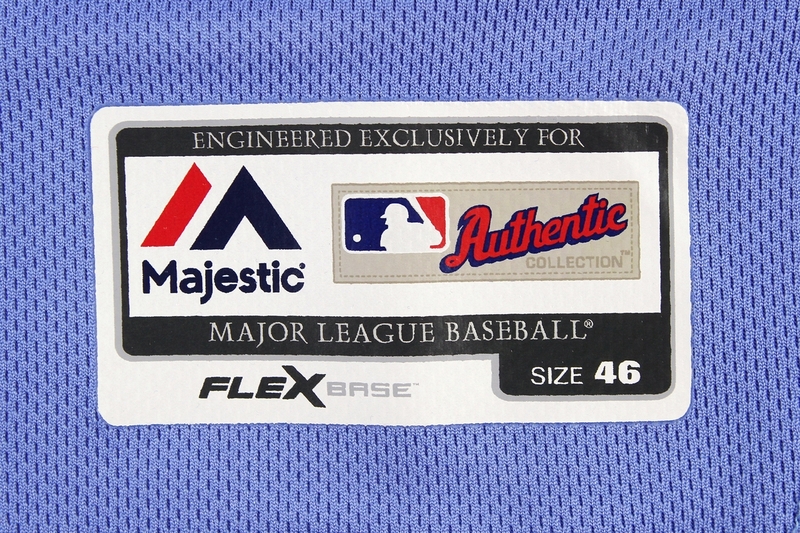 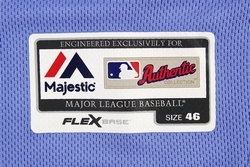 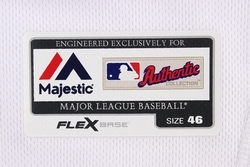 Flex Base jerseys debut. 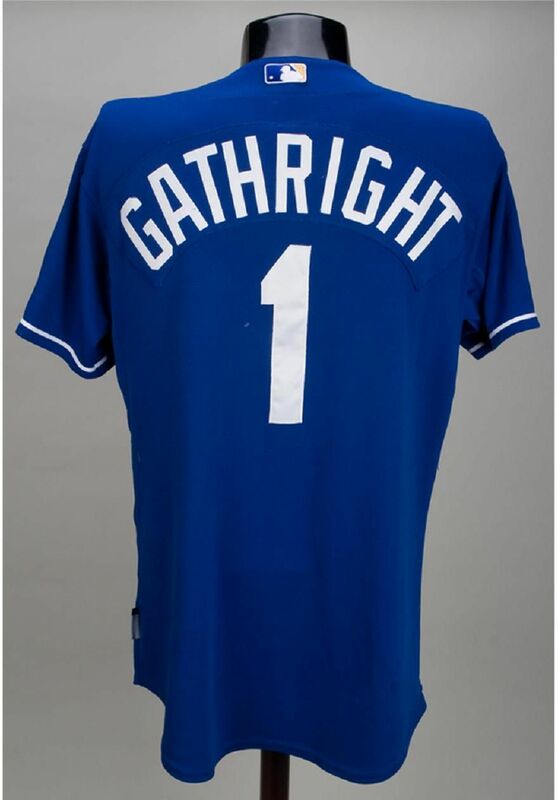 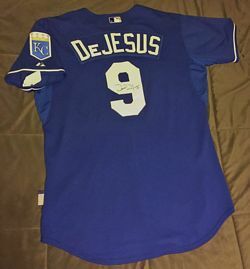 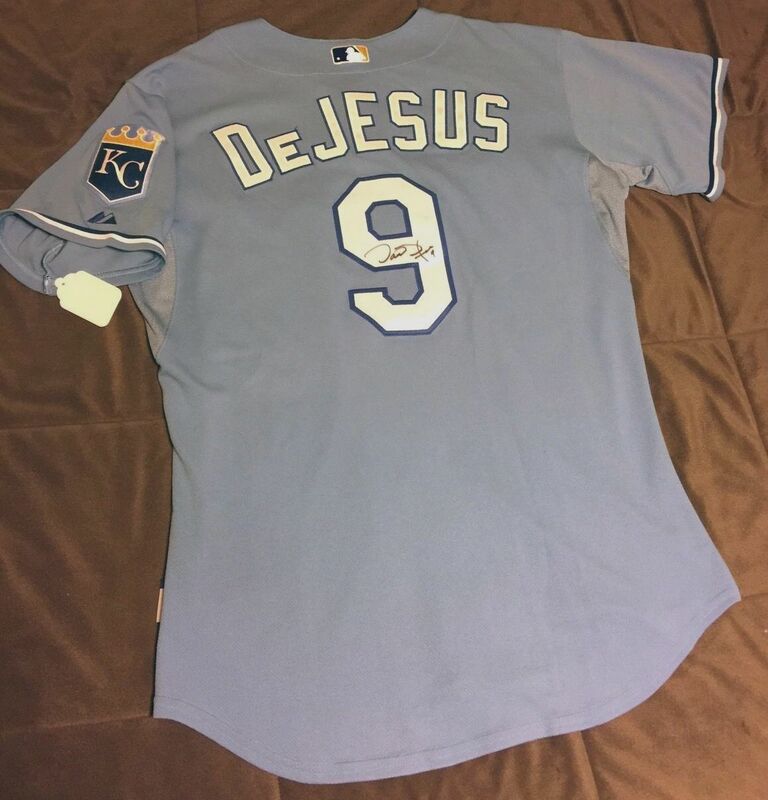 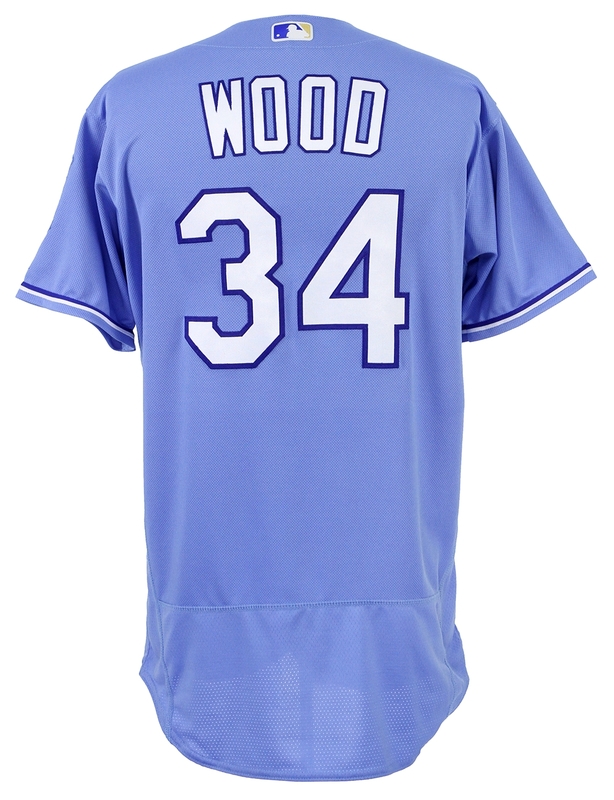 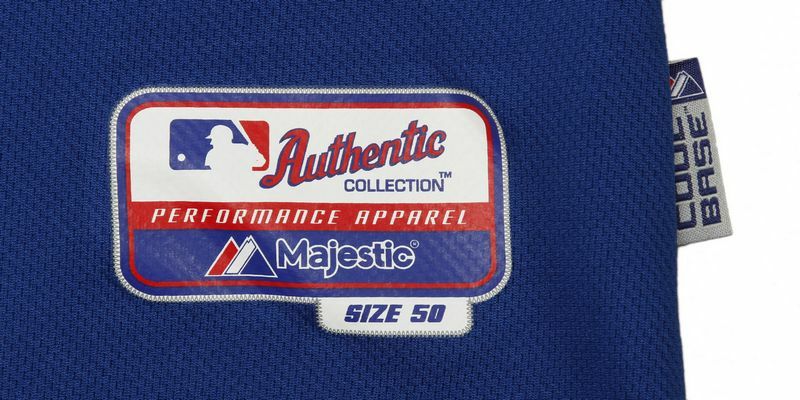 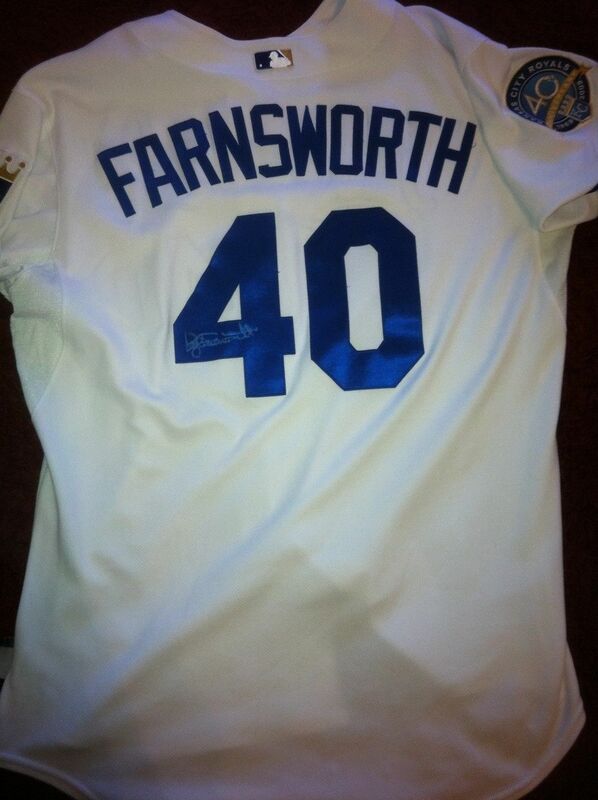 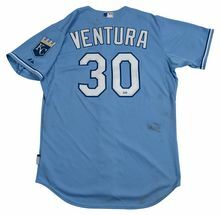 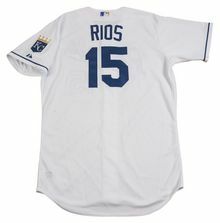 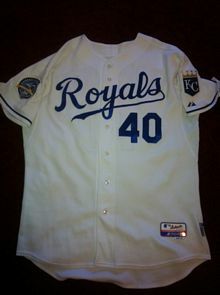 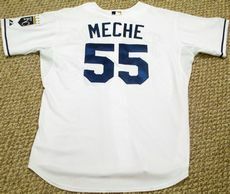 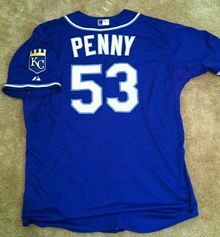 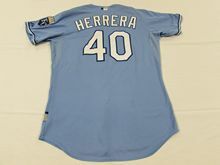 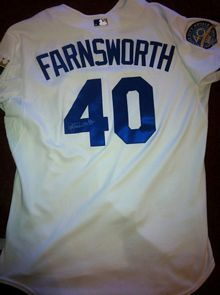 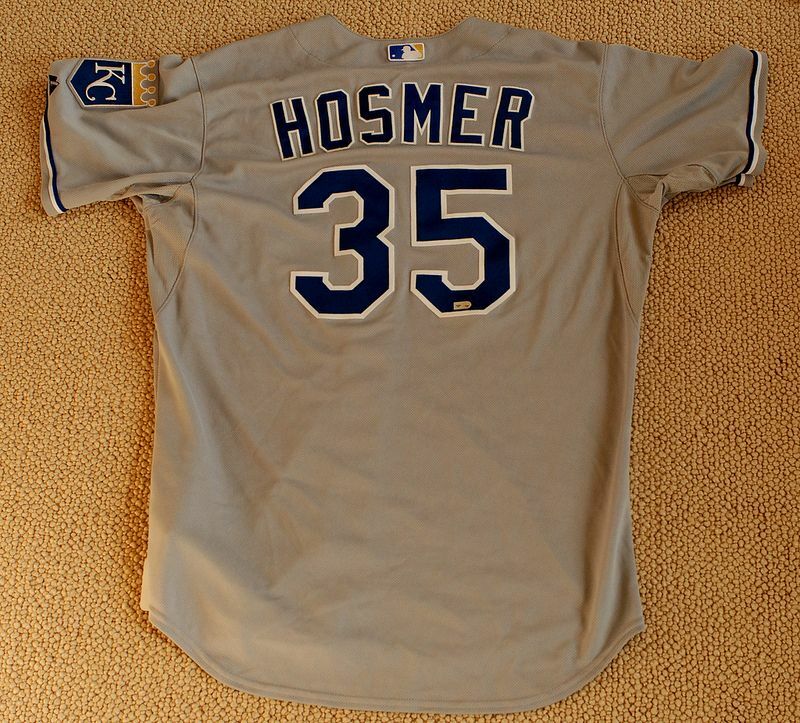 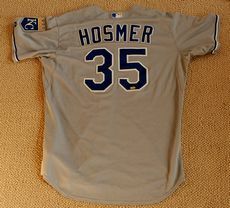 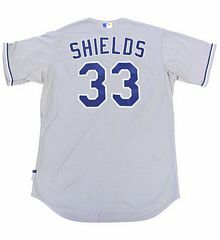 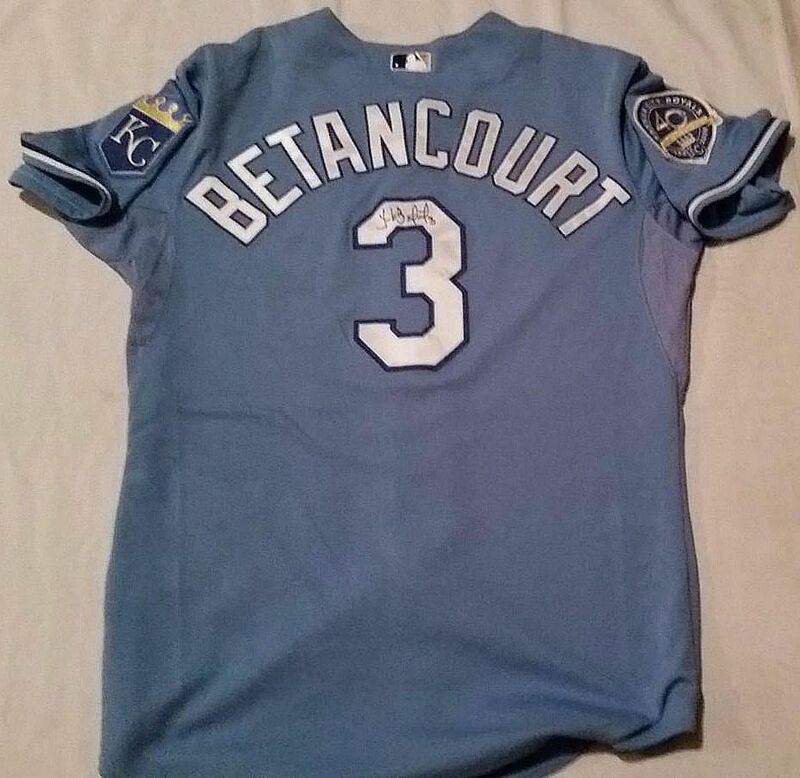 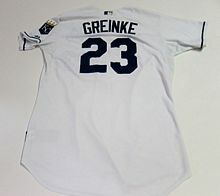 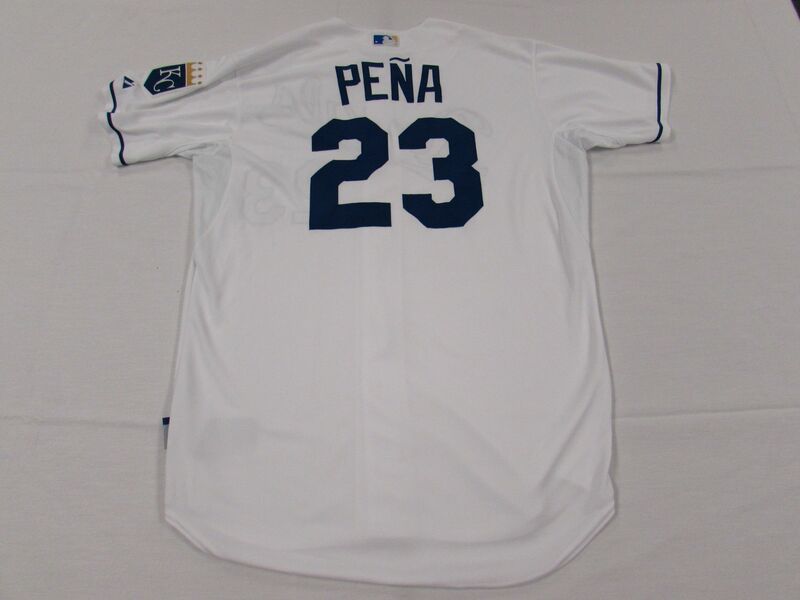 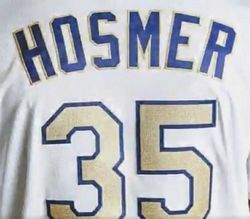 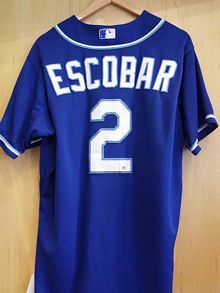 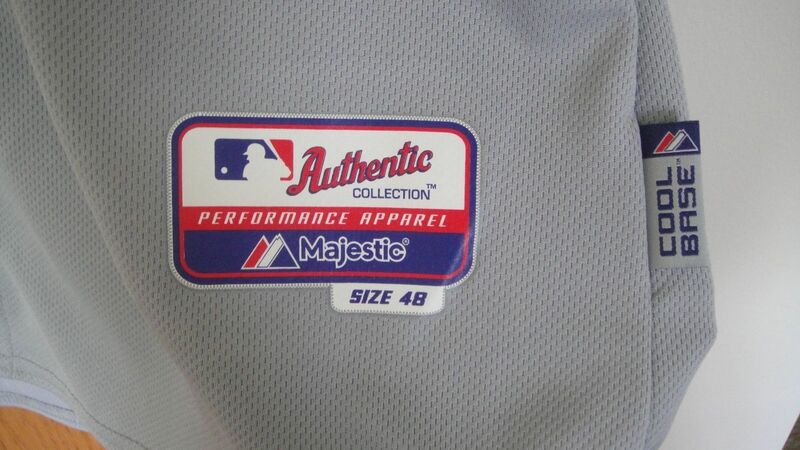 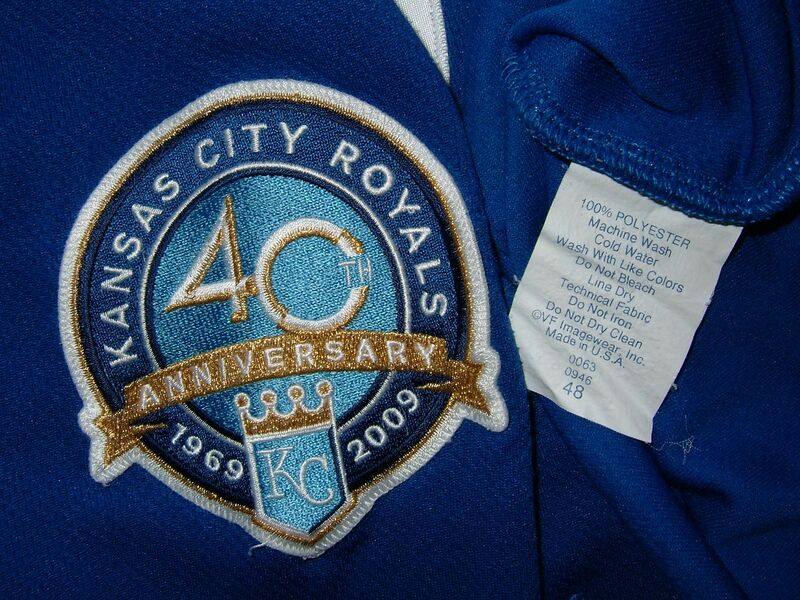 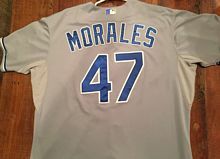 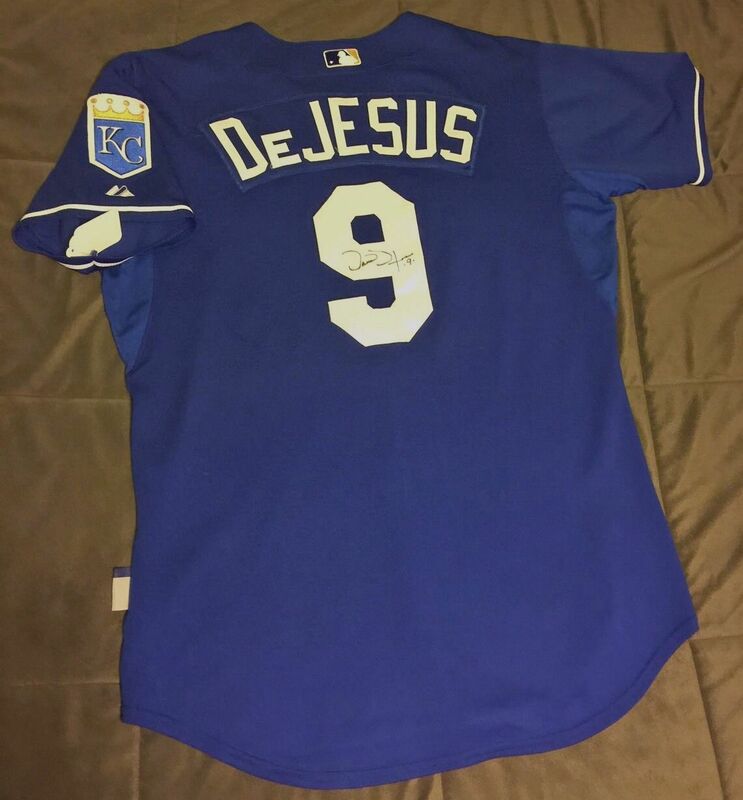 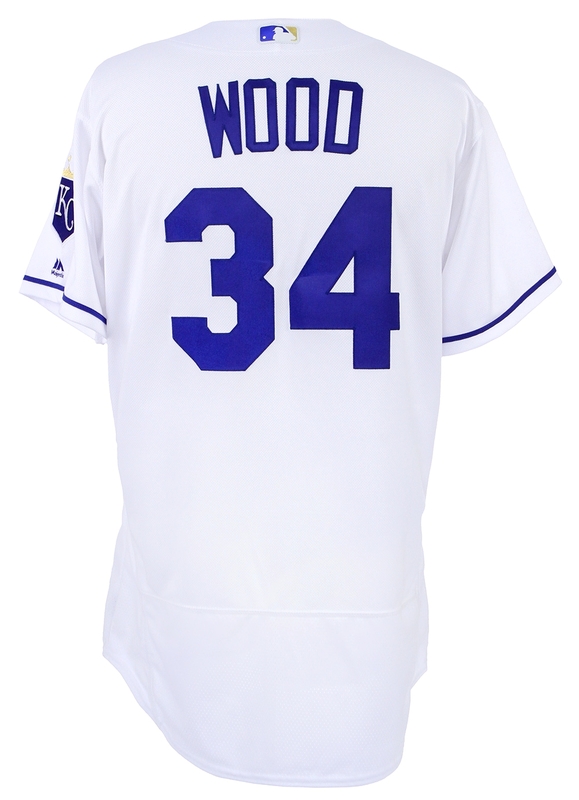 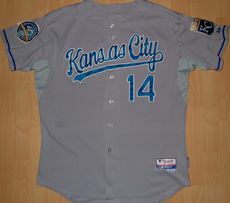 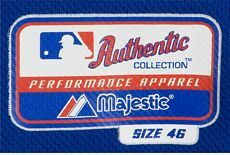 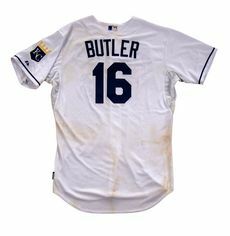 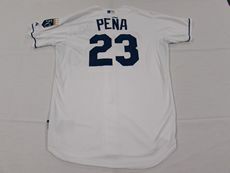 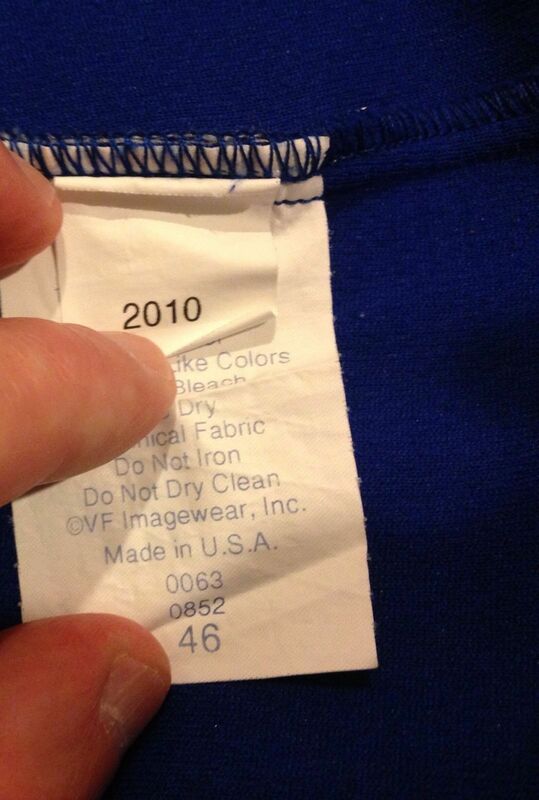 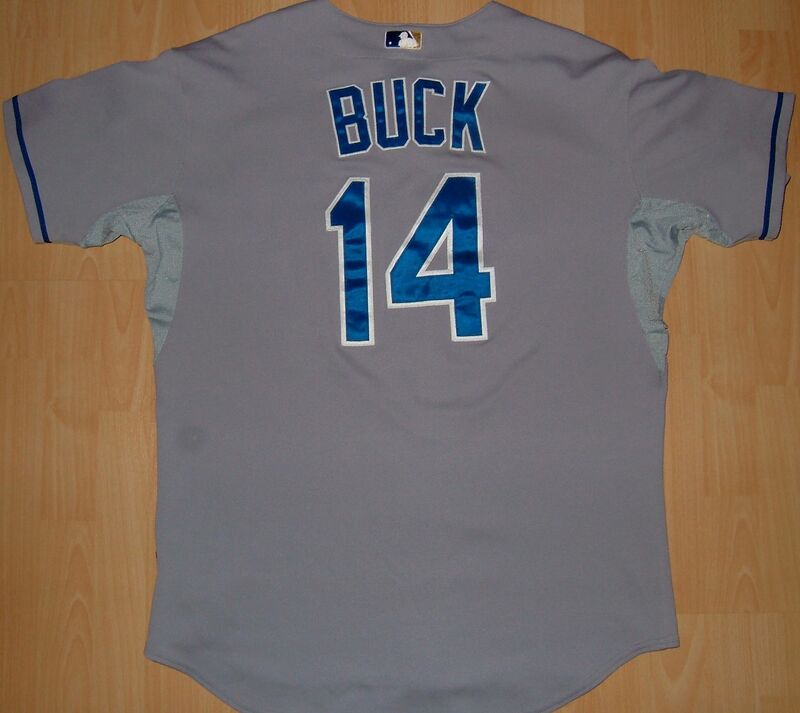 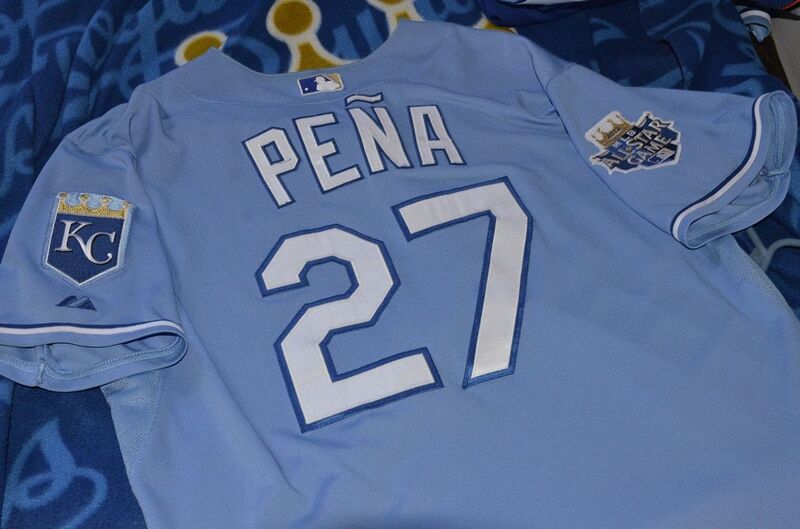 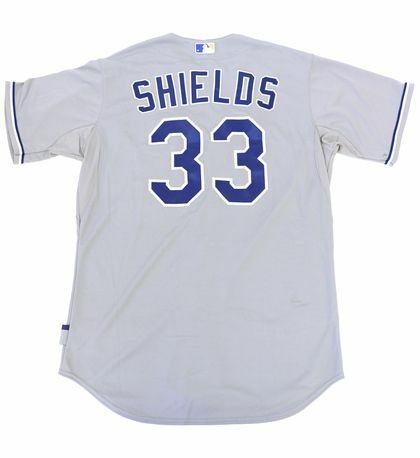 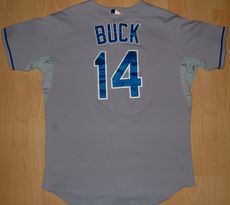 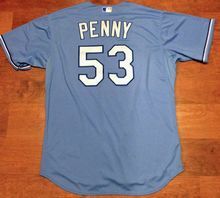 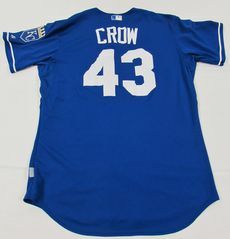 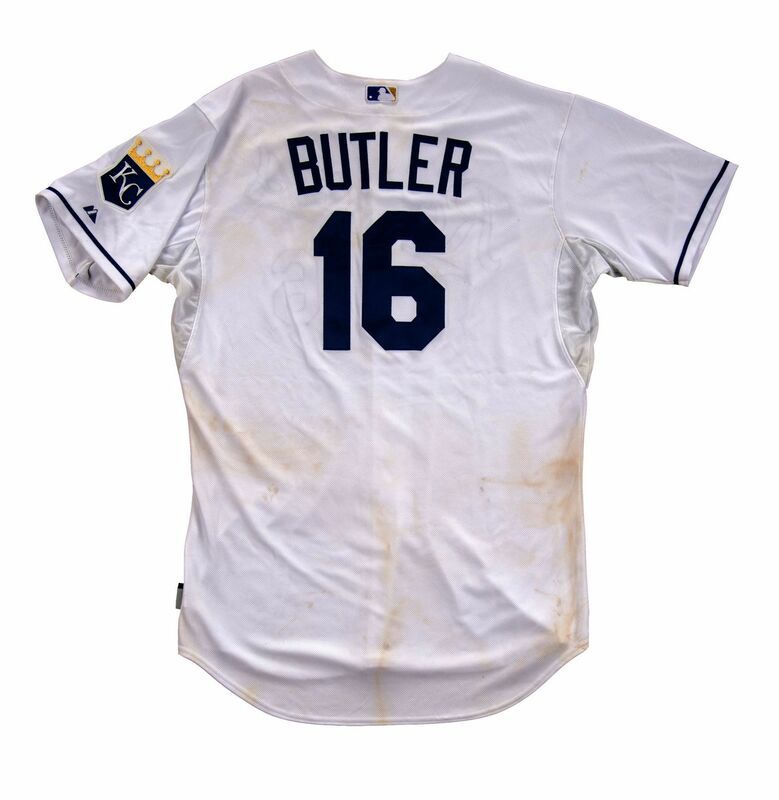 To celebrating their World Series win, a home jersey with gold lettering trimmed in blue is worn. 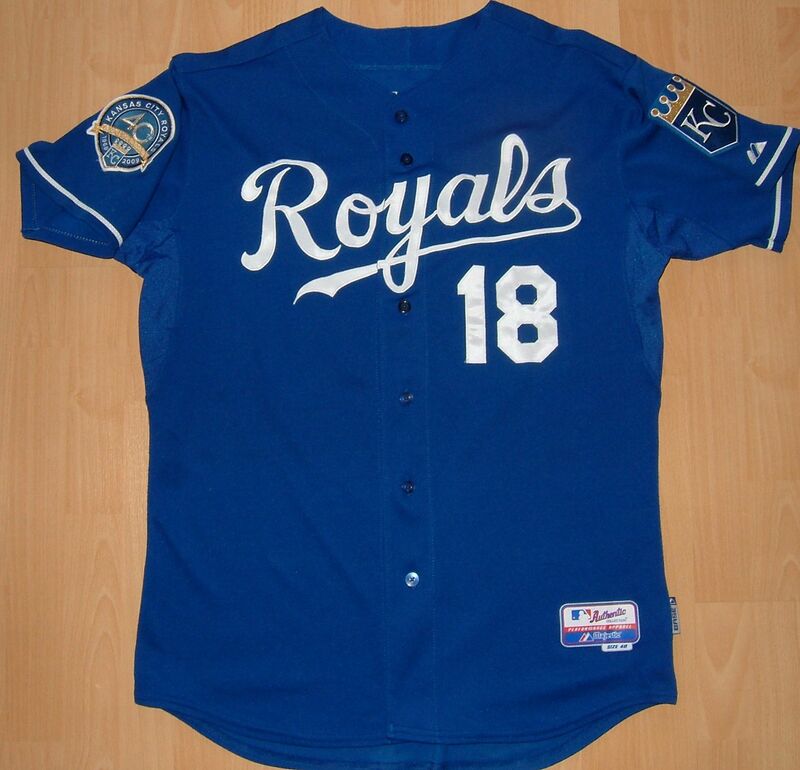 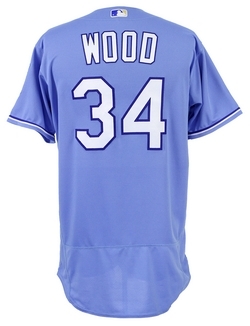 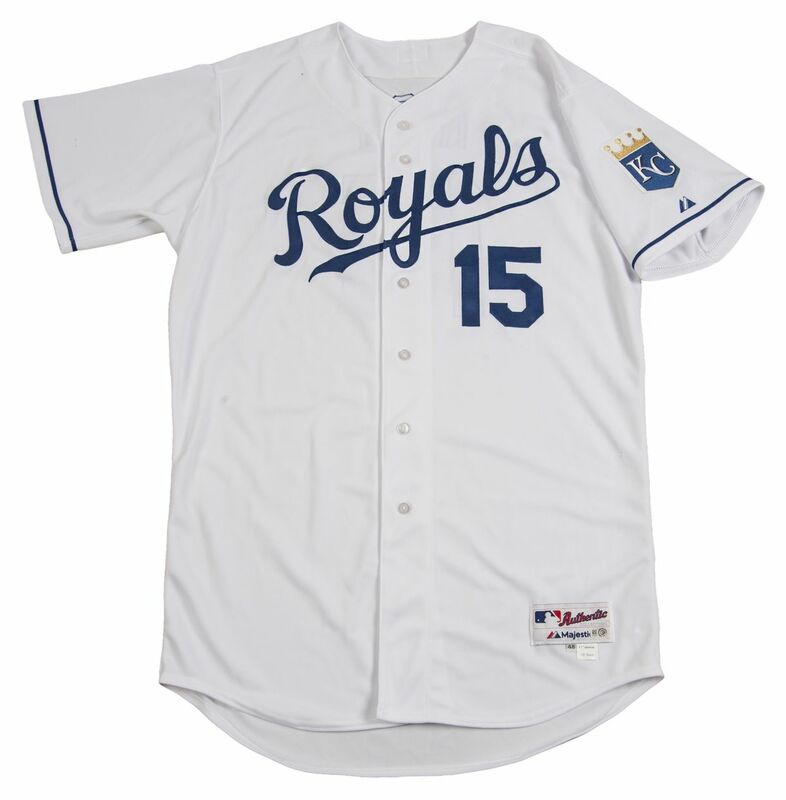 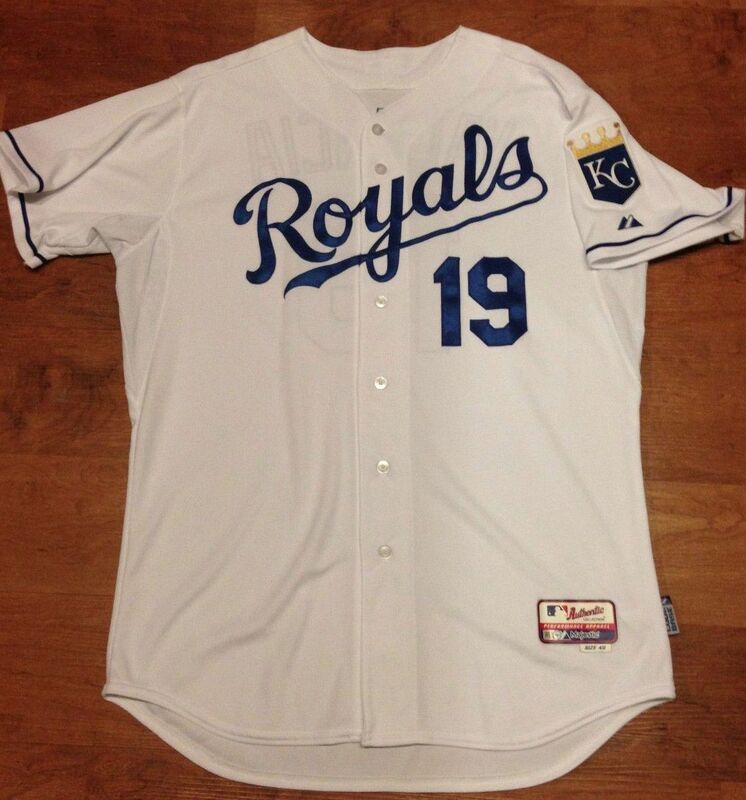 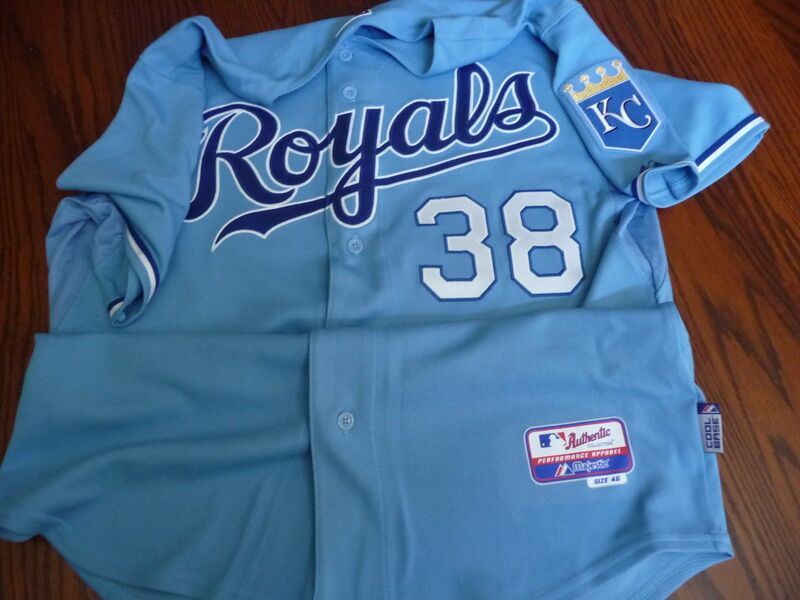 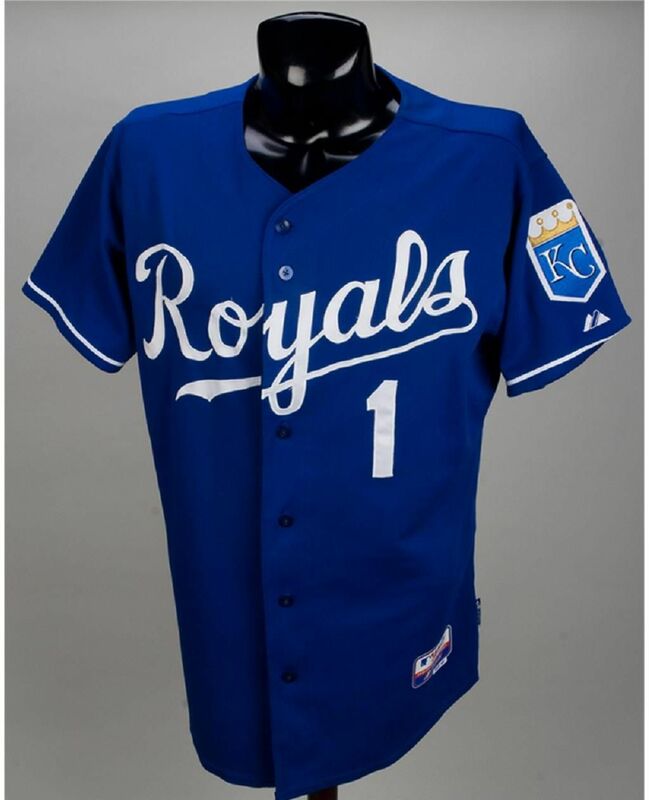 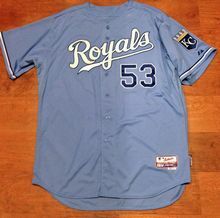 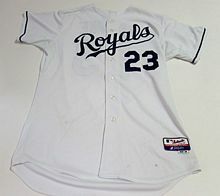 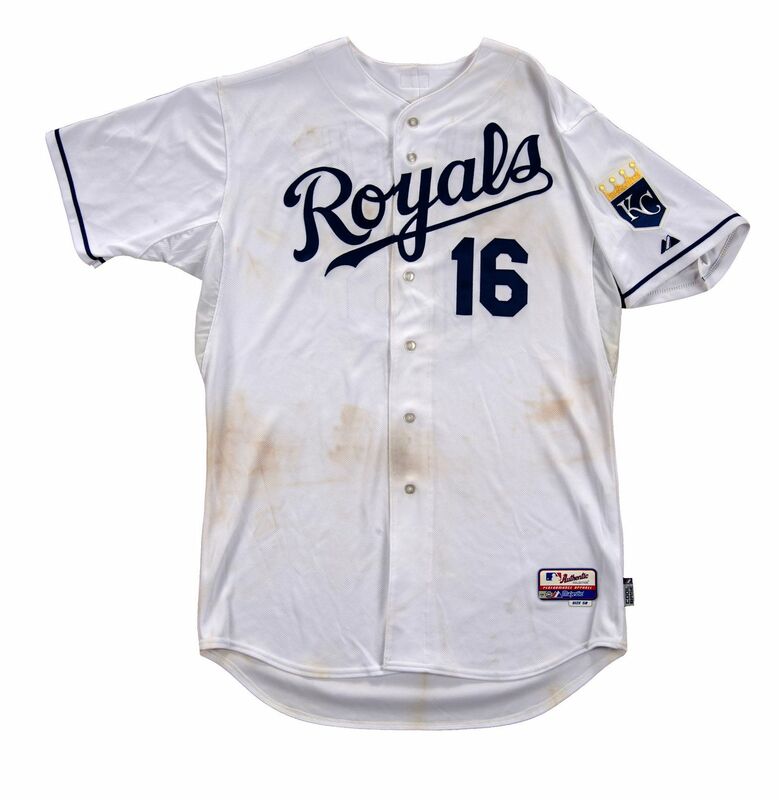 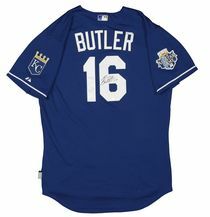 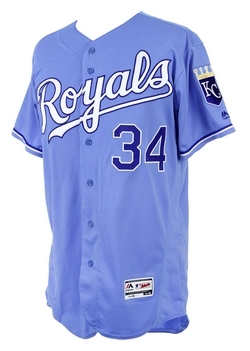 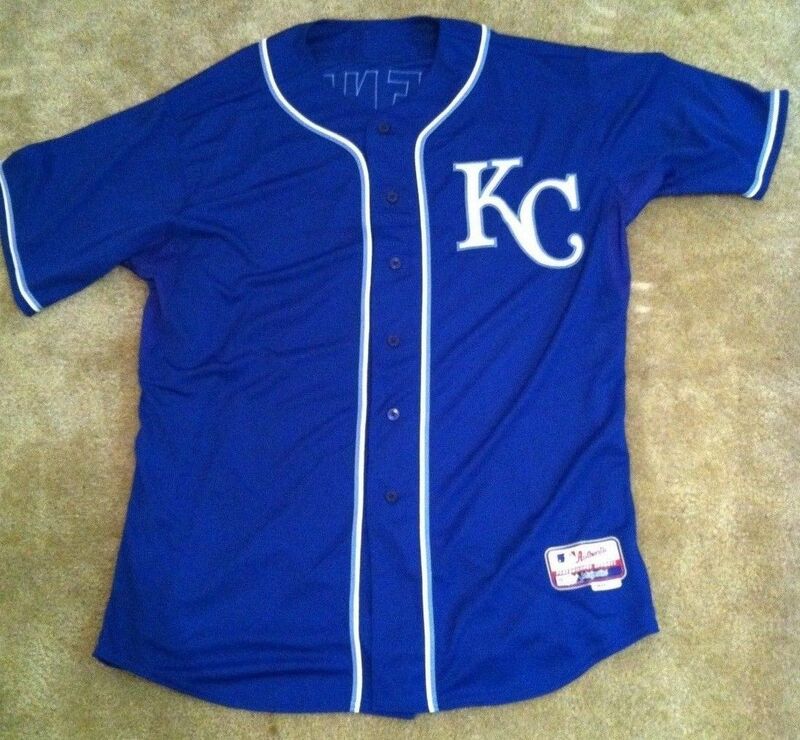 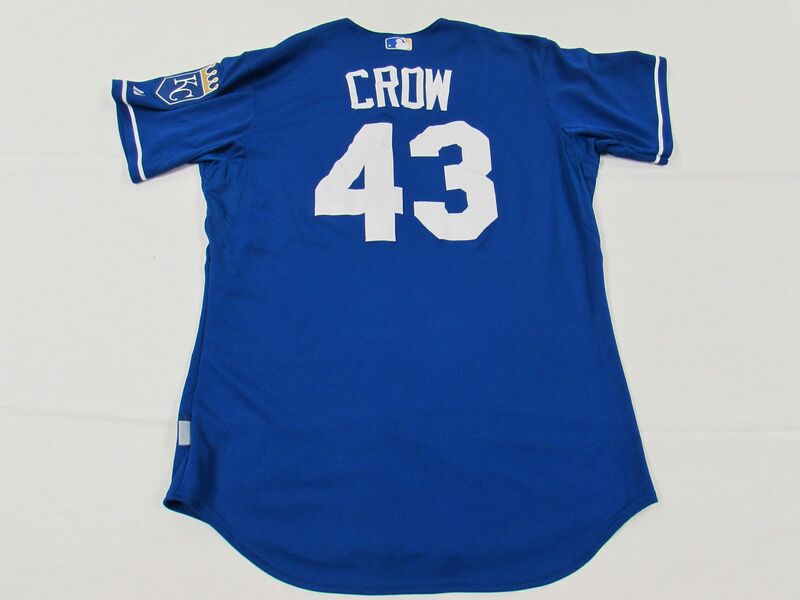 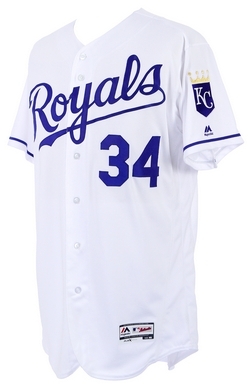 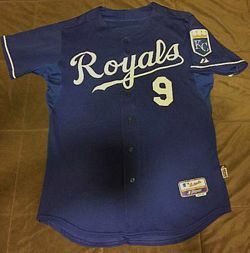 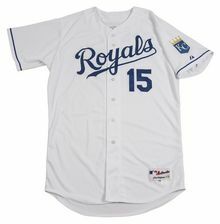 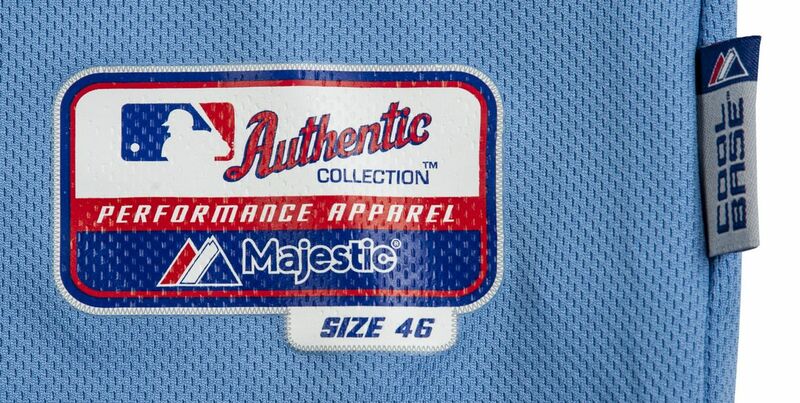 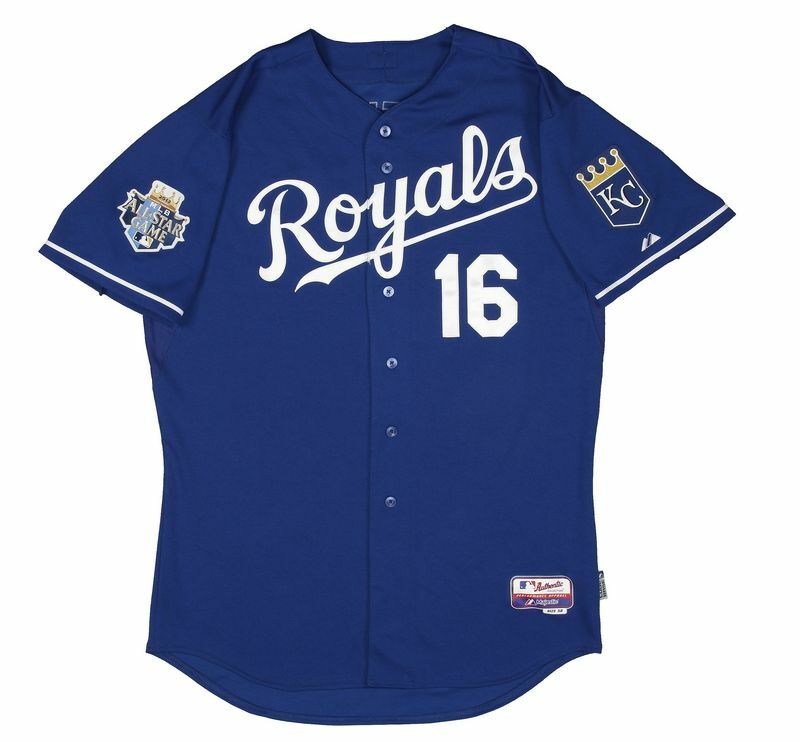 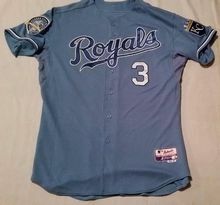 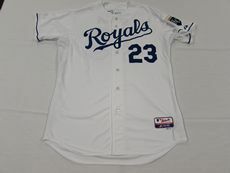 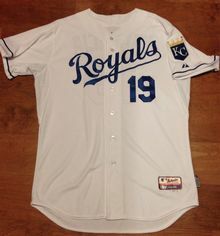 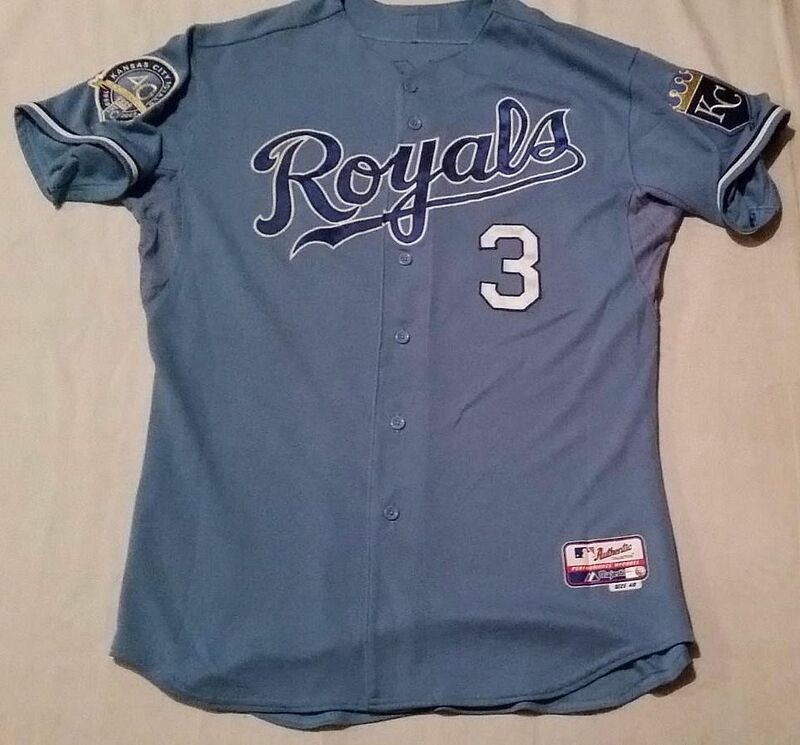 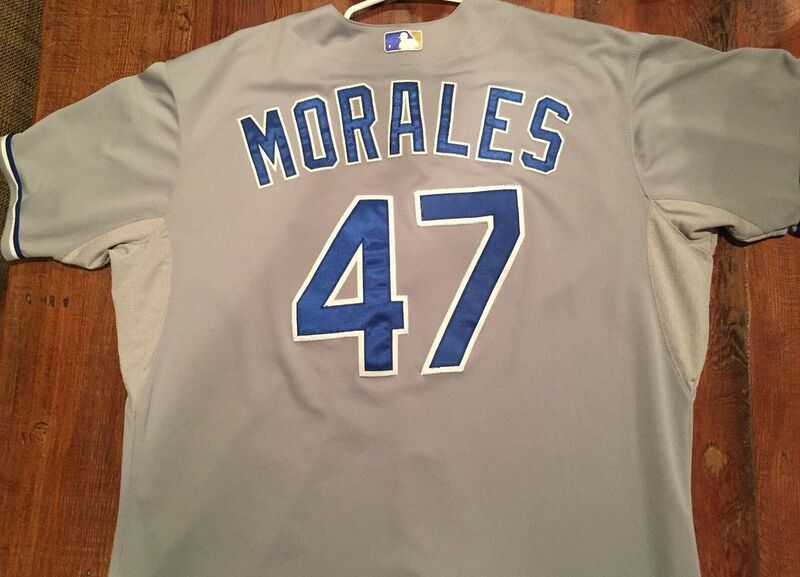 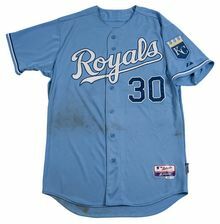 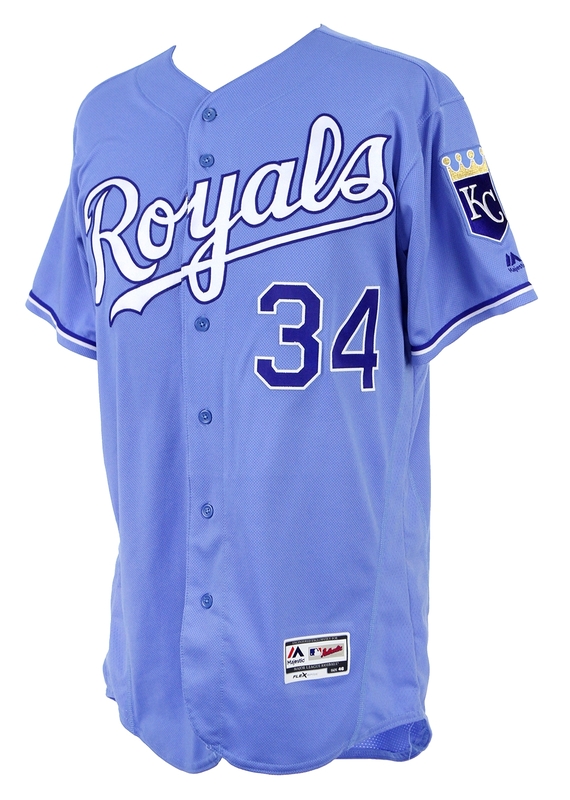 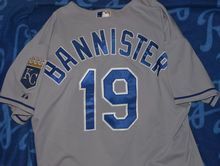 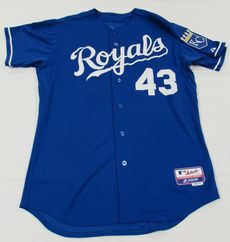 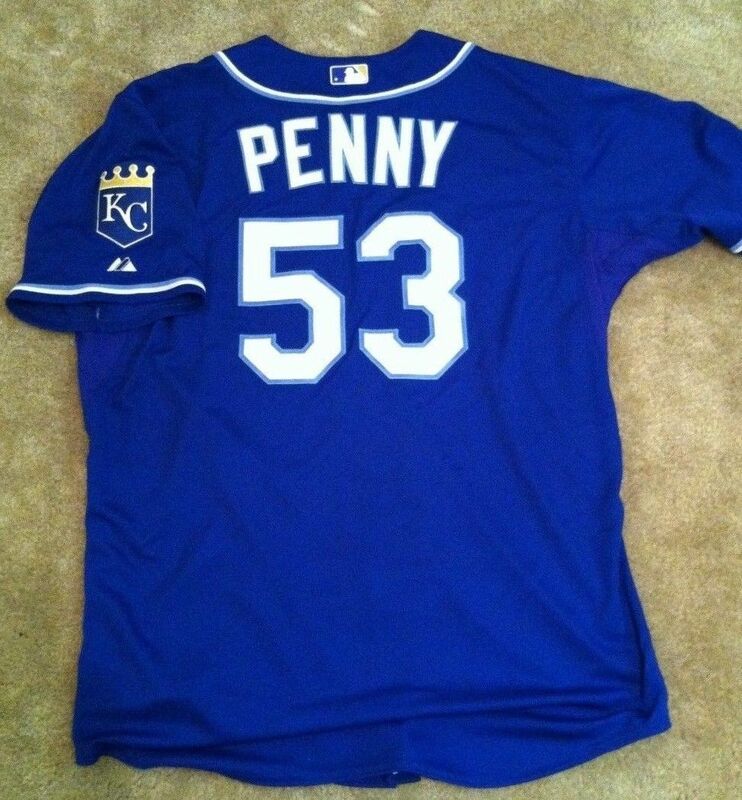 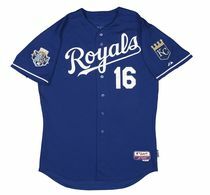 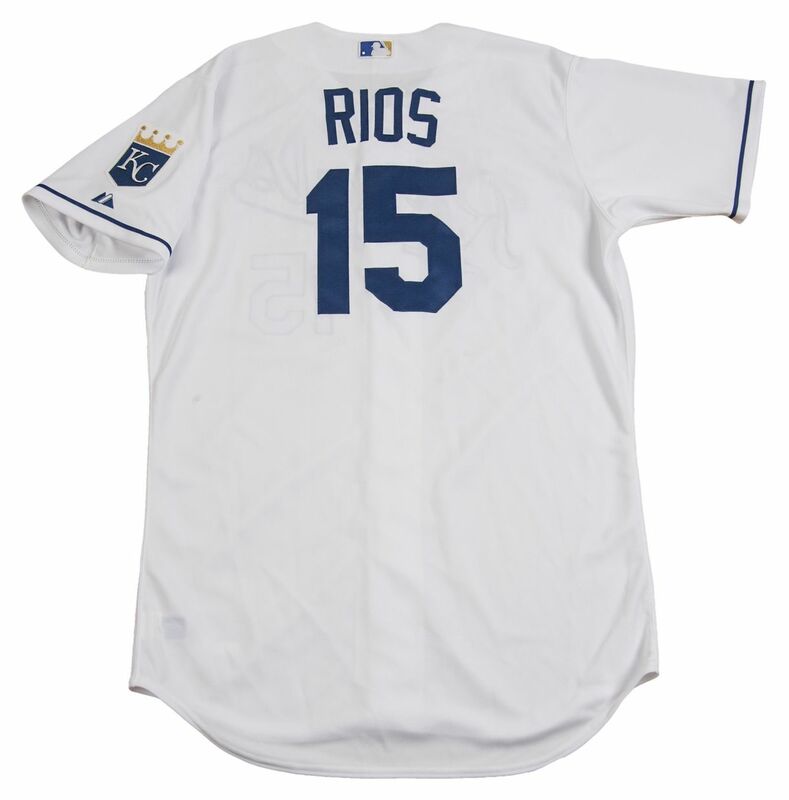 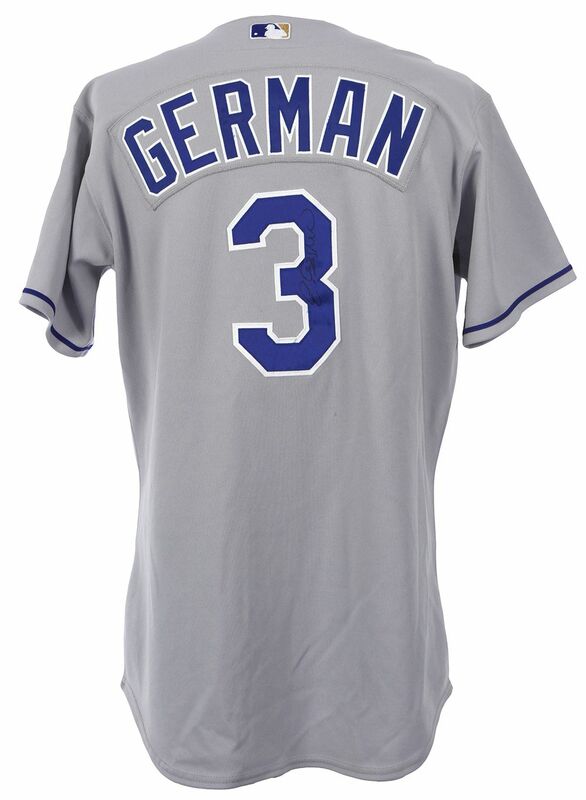 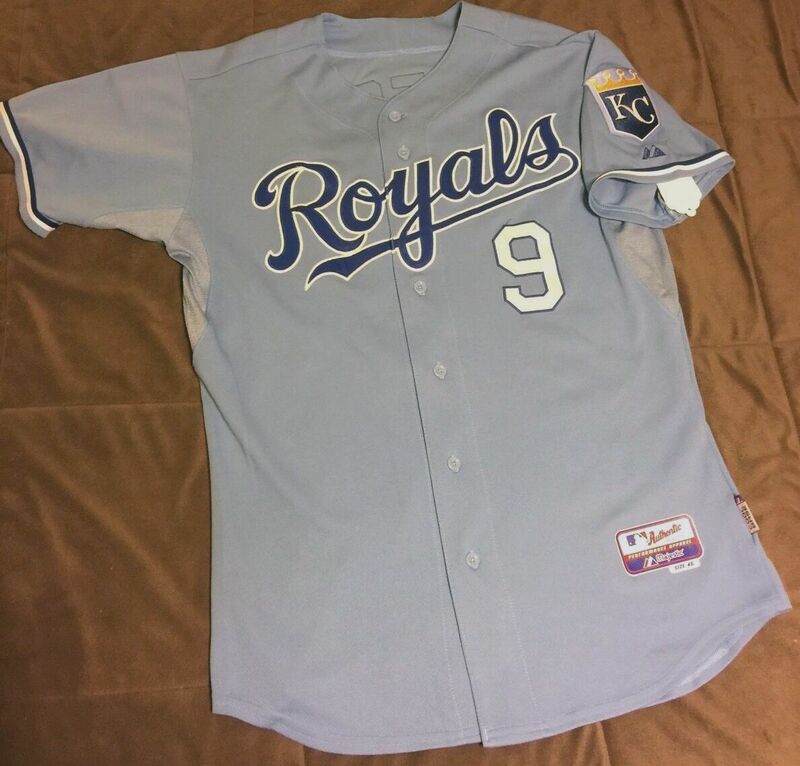 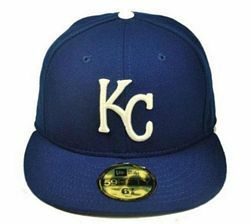 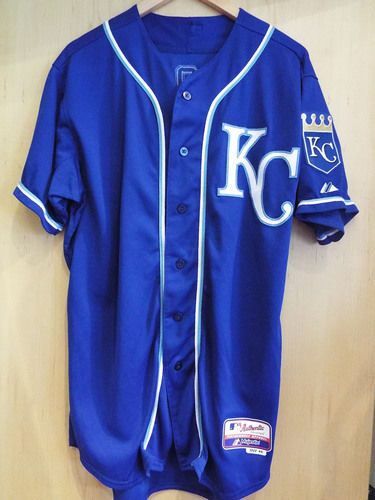 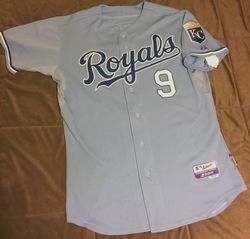 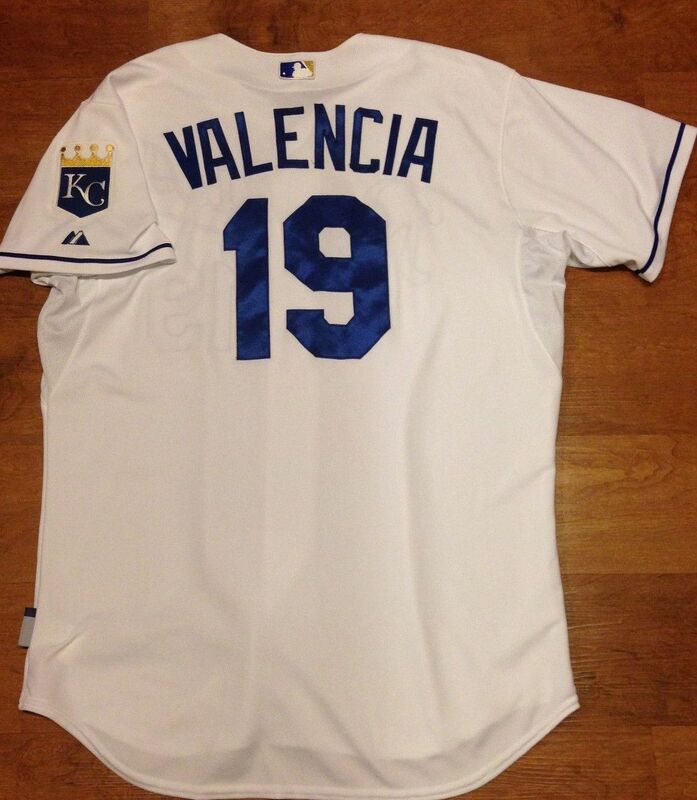 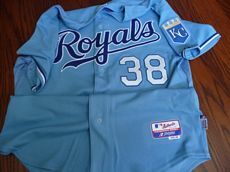 But unlike other teams the Royals turn it into a regular (Friday) home alternate. 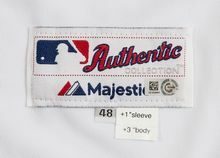 World Series Champions patch worn in 2016. 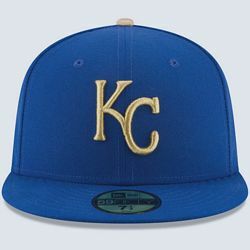 The gold lettered home alternate gets some tweaking and becomes an official alternate and the cap has a gold logo.